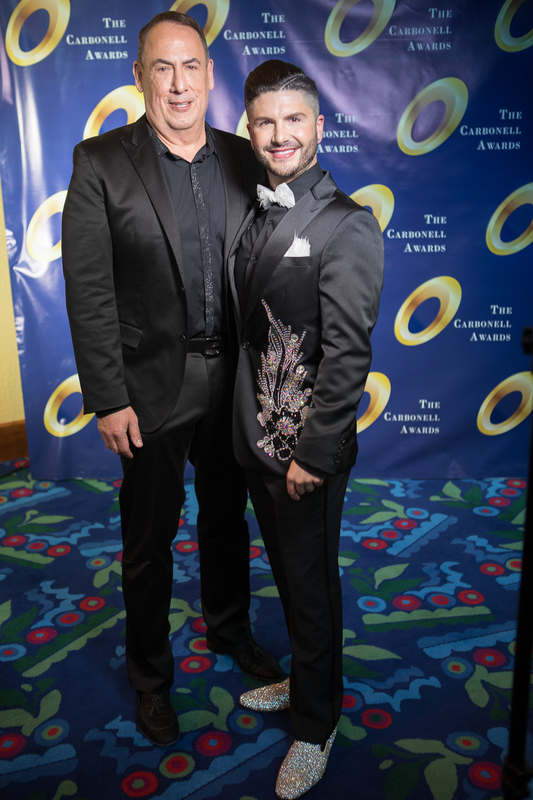 Les Misérables, the inspiring musical about class struggle set against the backdrop of revolution, and Daniel’s Husband, a powerful new play about the importance of marriage equality, took their respective places in South Florida theatrical history as Best Musical and Best Play on Monday, April 4th when the winners of the 40th annual Carbonell Awards were announced in a lavish ceremony at Broward Center for the Performing Arts in Fort Lauderdale. 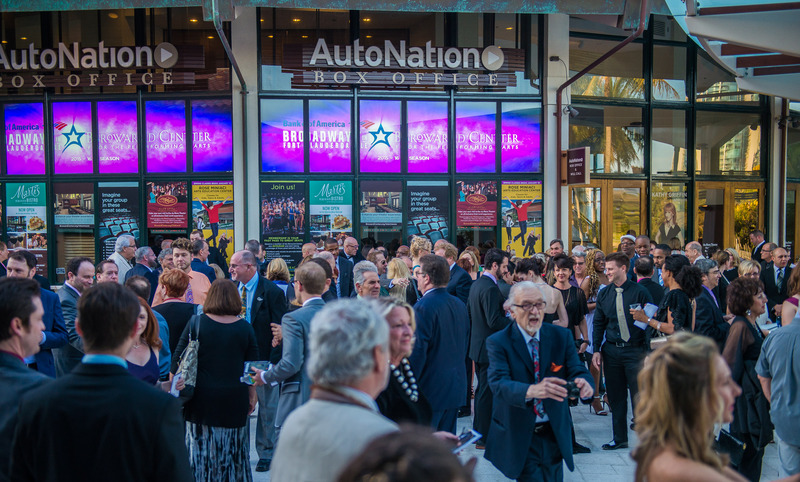 Maltz Jupiter Theatre in Jupiter earned seven awards for three of their productions. 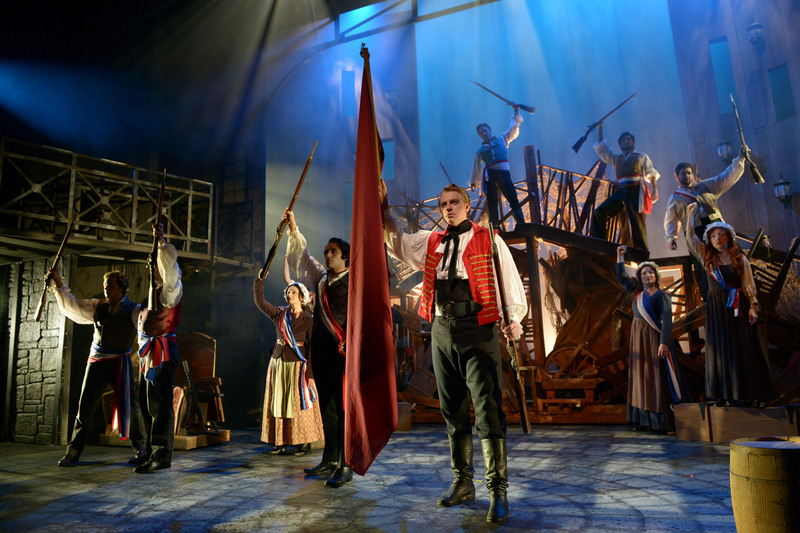 Les Misérables won Best Musical; Best Director, Musical for Mark Martino; Best Actor, Musical for Aloysius Gigl; and Best Sound Design for Marty Mets. 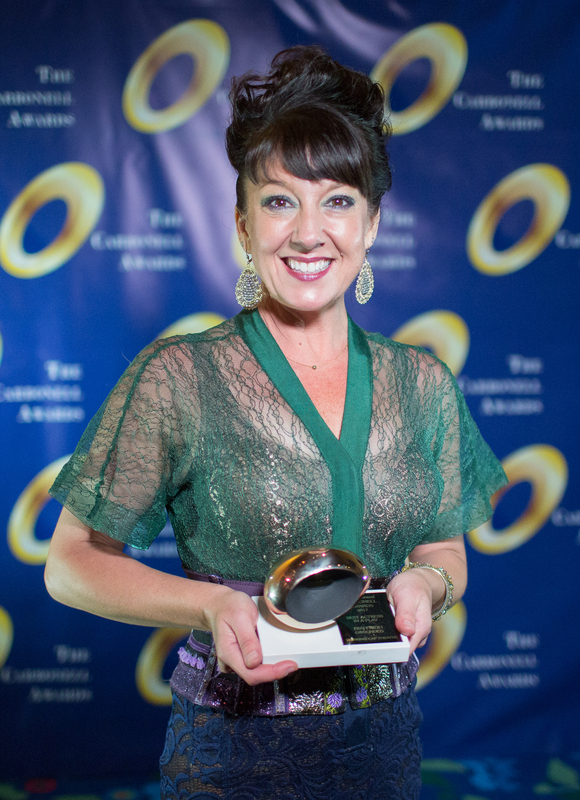 Billy Elliot took honors for Best Supporting Actress, Musical for Elizabeth Dimon and Choreography for Greg Graham. 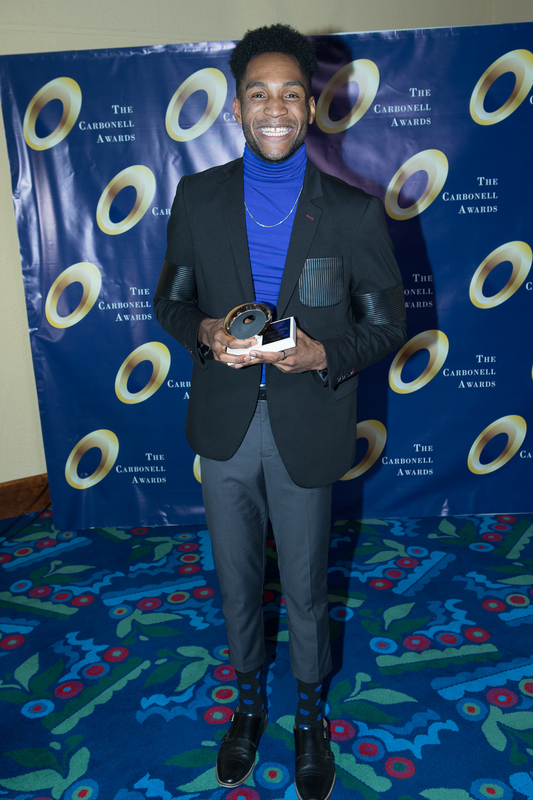 Glengarry Glen Ross won the Best Ensemble award. 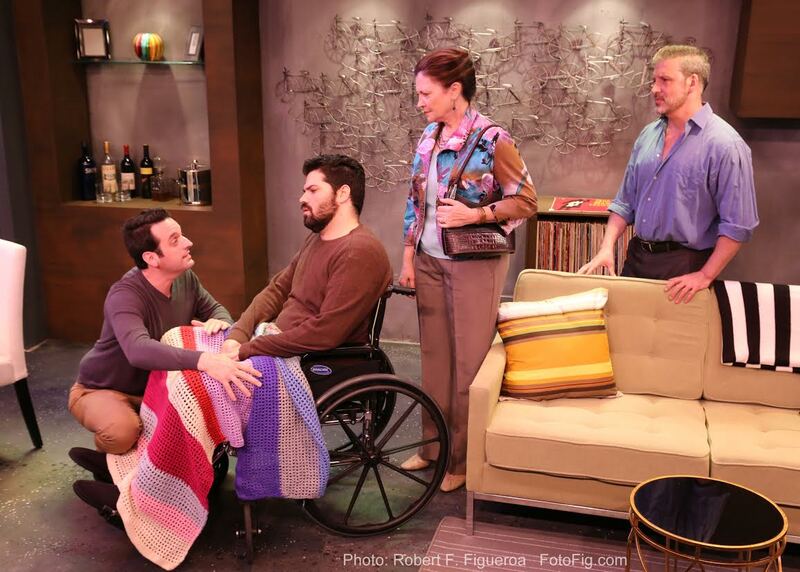 Island City Stage earned three awards, all for its world premiere production of Daniel’s Husband, including Best Play; Best Actor, Play, for Antonio Amadeo; and Best New Work for playwright Michael McKeever. 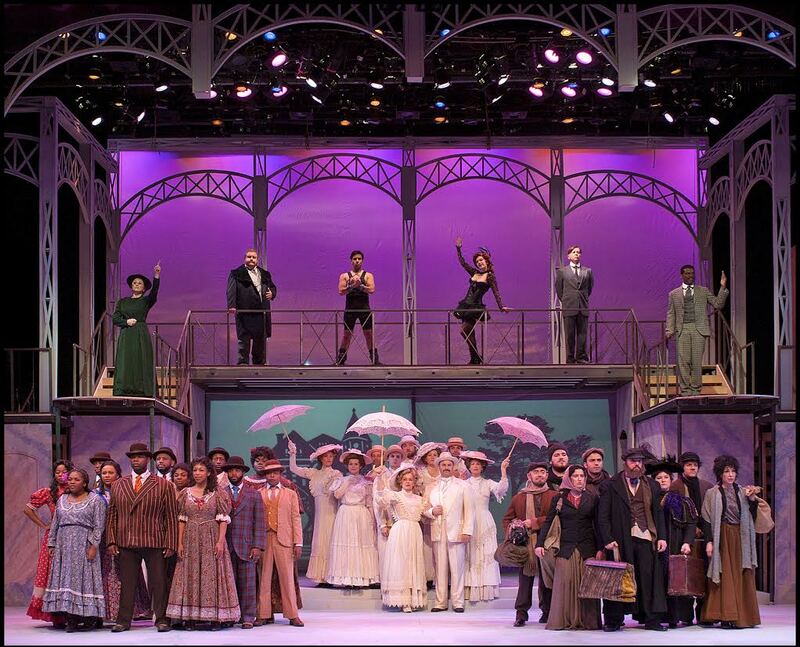 Island City Stage won the only three awards for Broward County, which had been shut out of the awards tally last year. 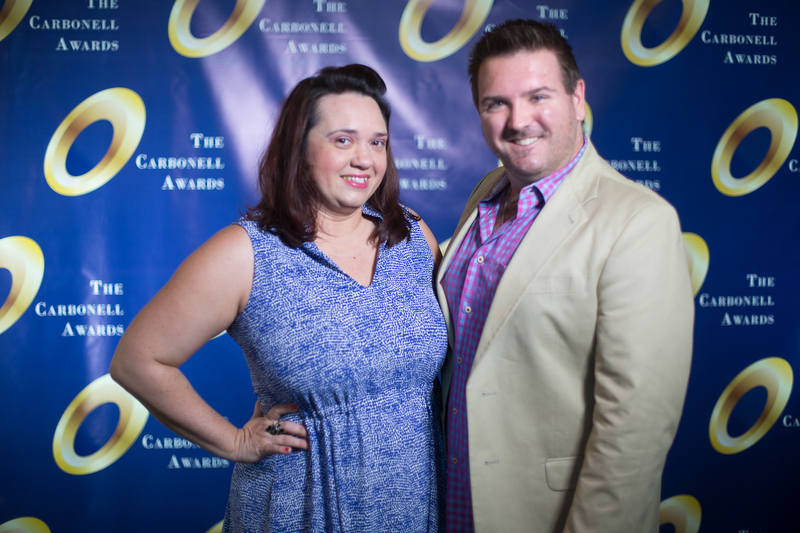 Palm Beach Dramaworks earned five awards for four of its productions. 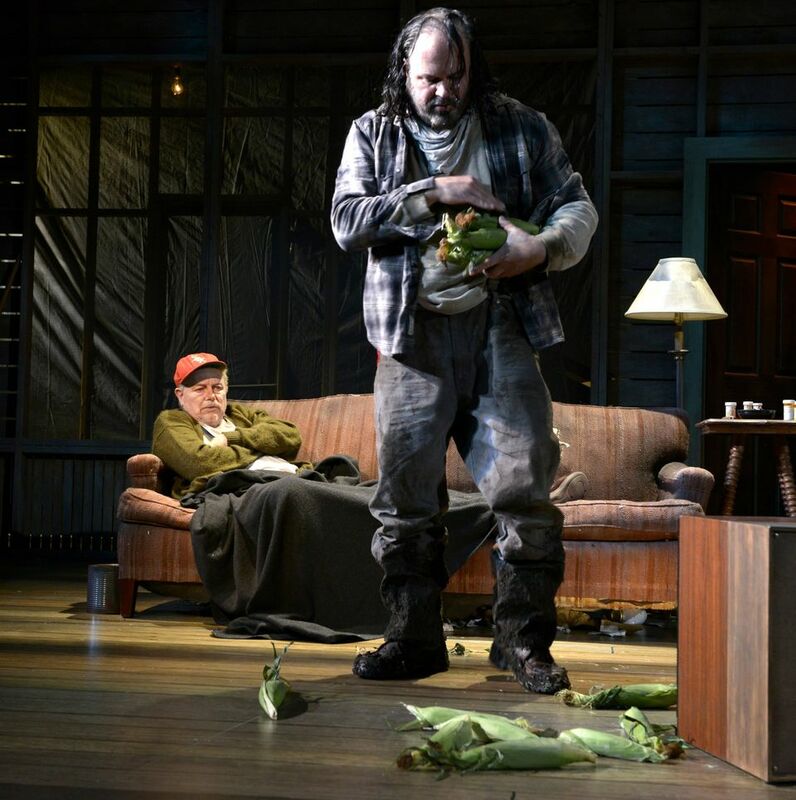 Buried Child earned two awards, Best Director, Play for J. Barry Lewis; and Best Supporting Actor, Paul Tei. 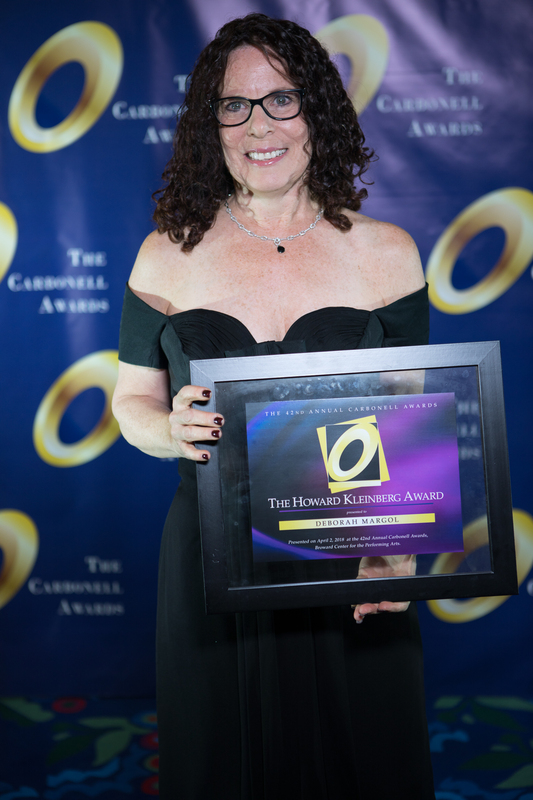 Three other Palm Beach Dramaworks shows won one award each: Margery Lowe won Best Supporting Actress for Picnic; Victor Becker won Best Scenic Design for The History Boys; and Brian O’Keefe won Best Costume Design for Les Liaisons Dangereuses. 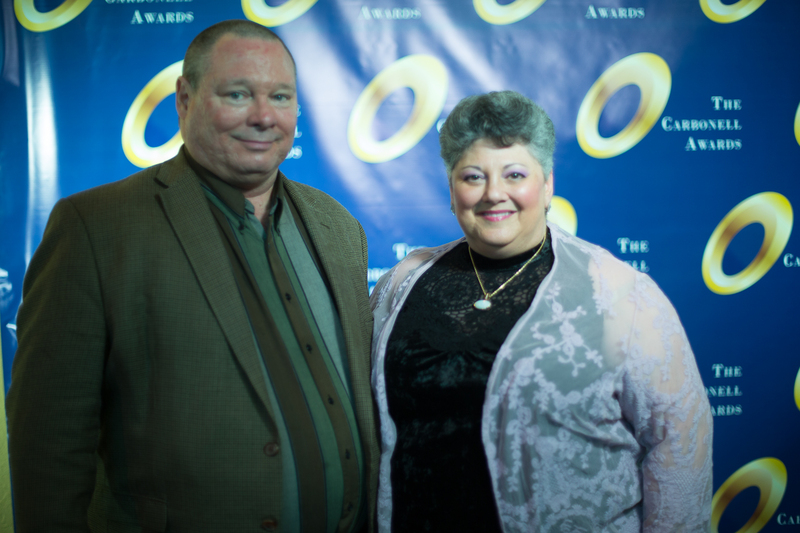 Actors’ Playhouse at the Miracle Theatre earned two awards, both for their production of Ragtime. 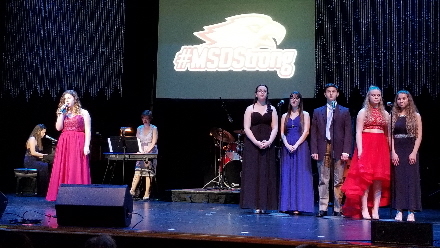 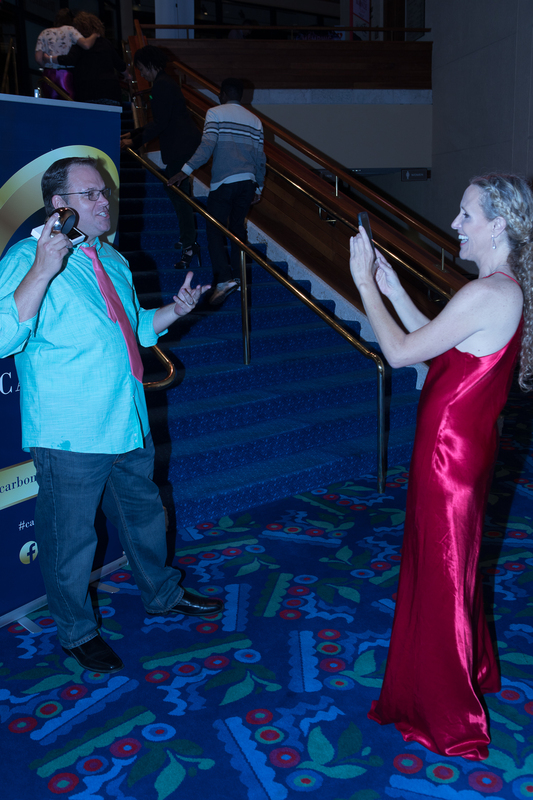 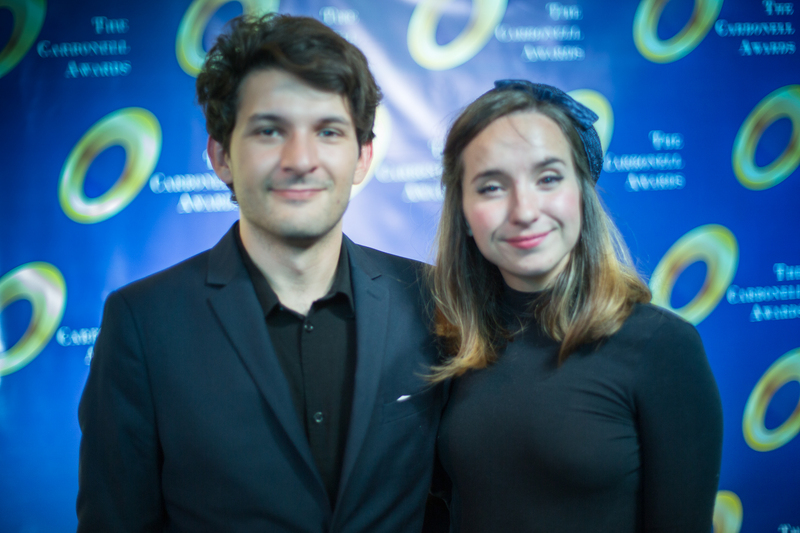 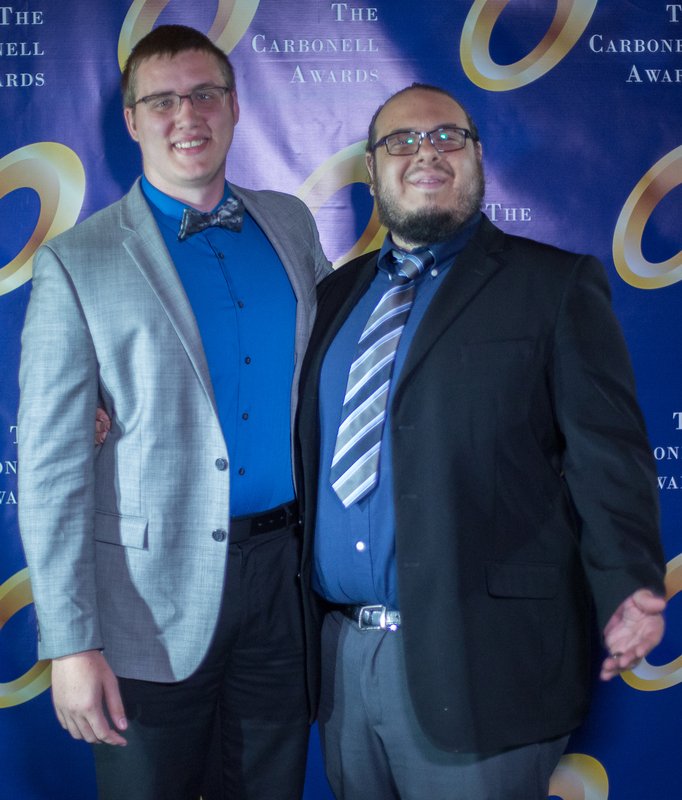 Melissa Minyard won Best Actress, Musical, and David Nagy won Best Musical Direction. 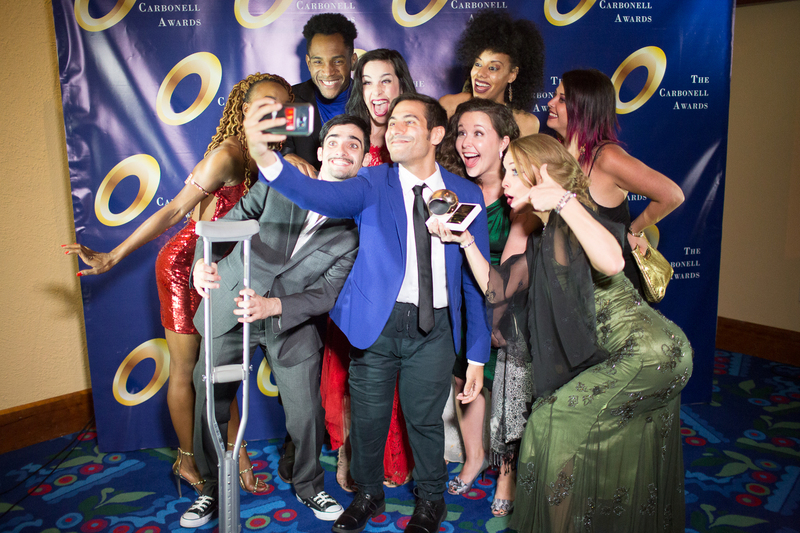 A handful of other shows at other theaters earned one award each. 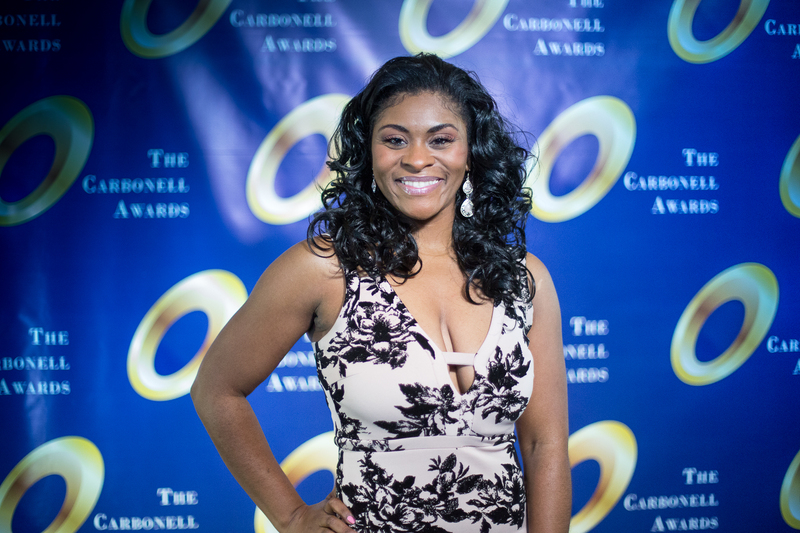 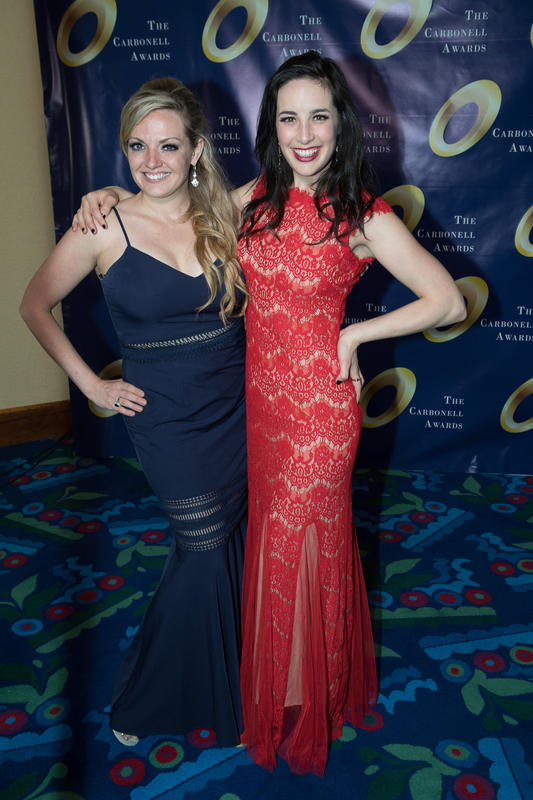 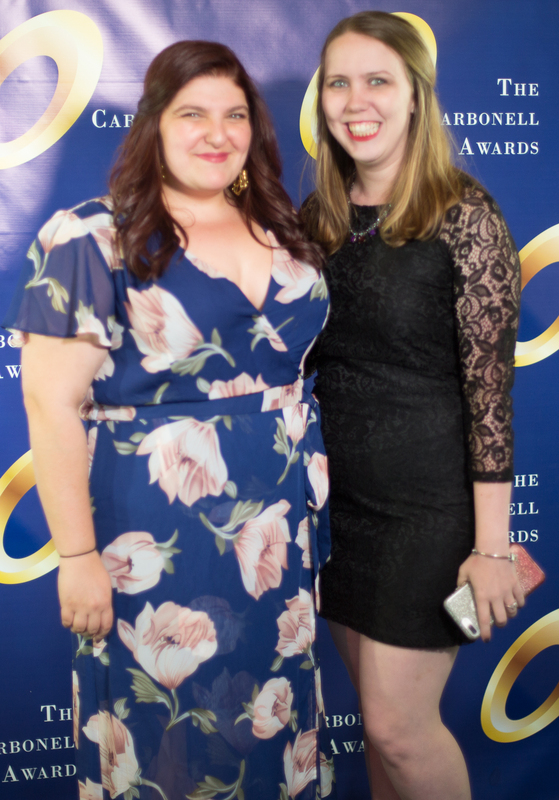 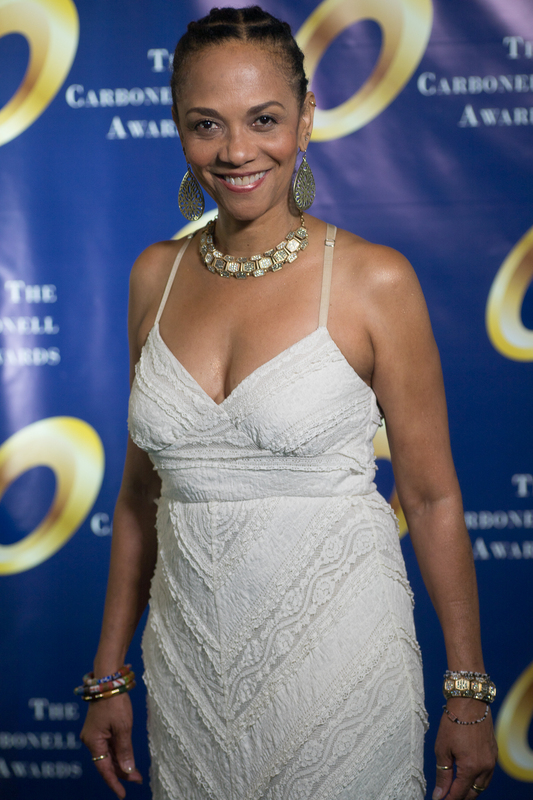 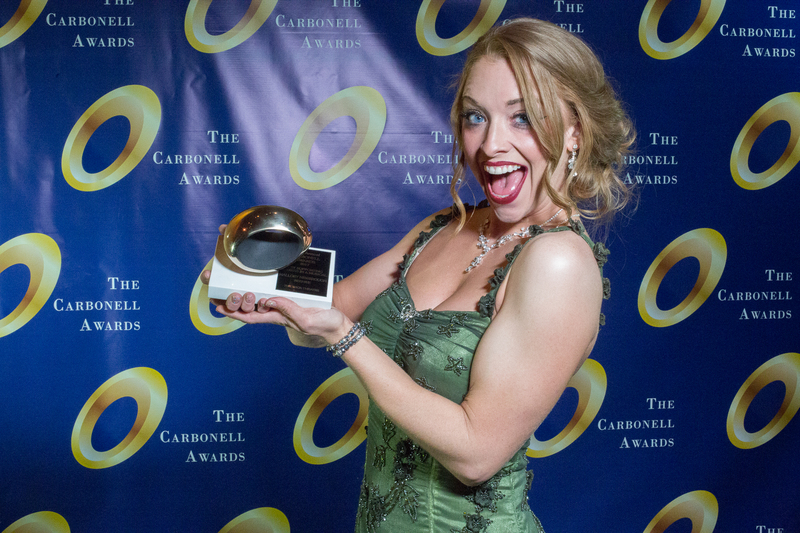 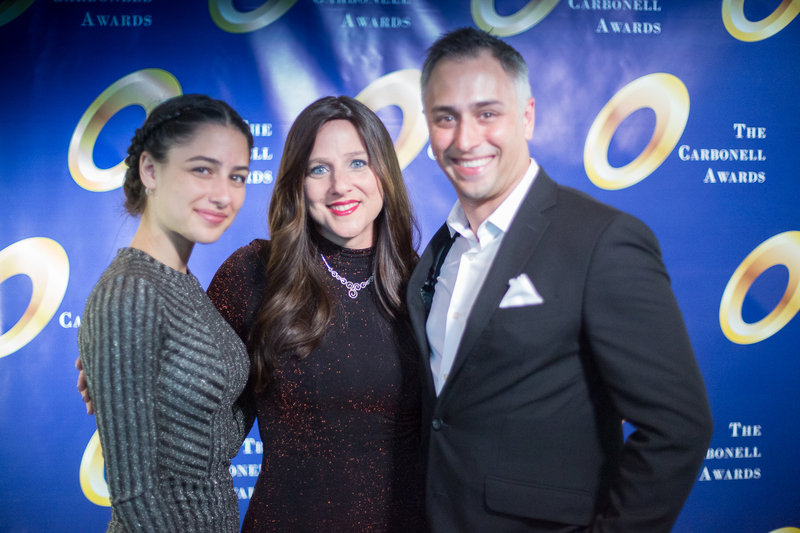 Lindsey Corey won Best Actress, Play, for the world premiere of Stripped at Zoetic Stage. 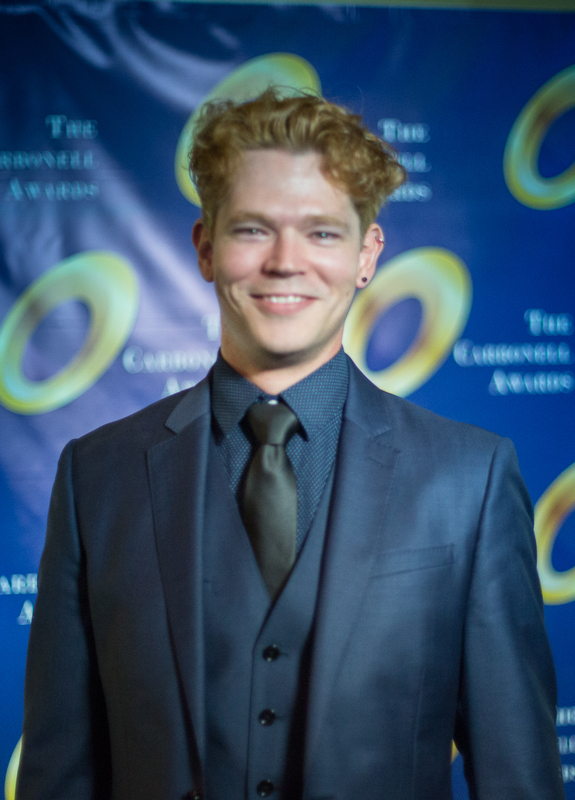 Shane Tanner won Best Supporting Actor, Musical for Oklahoma! 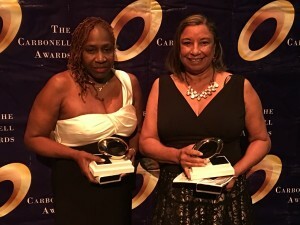 at The Wick. 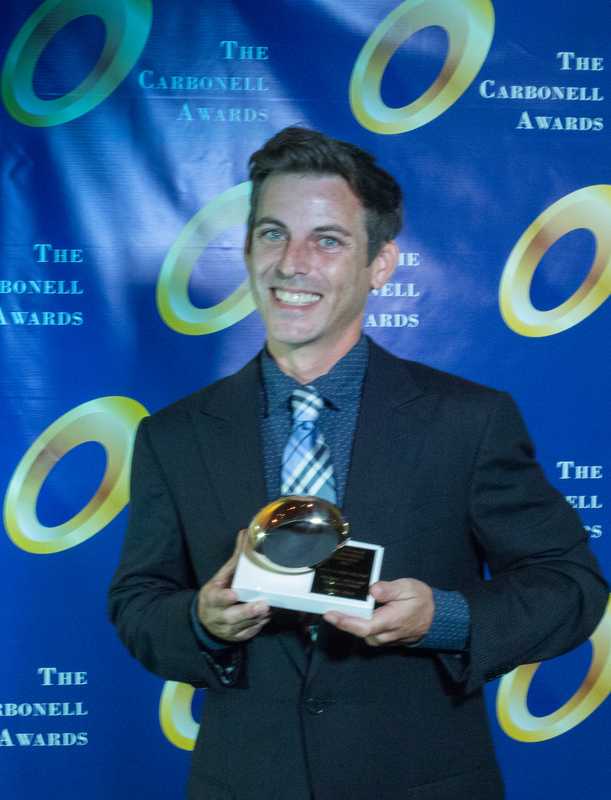 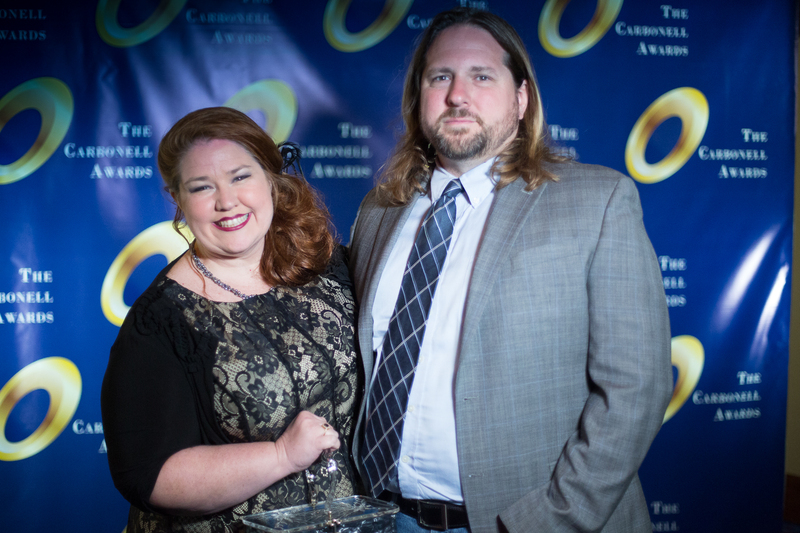 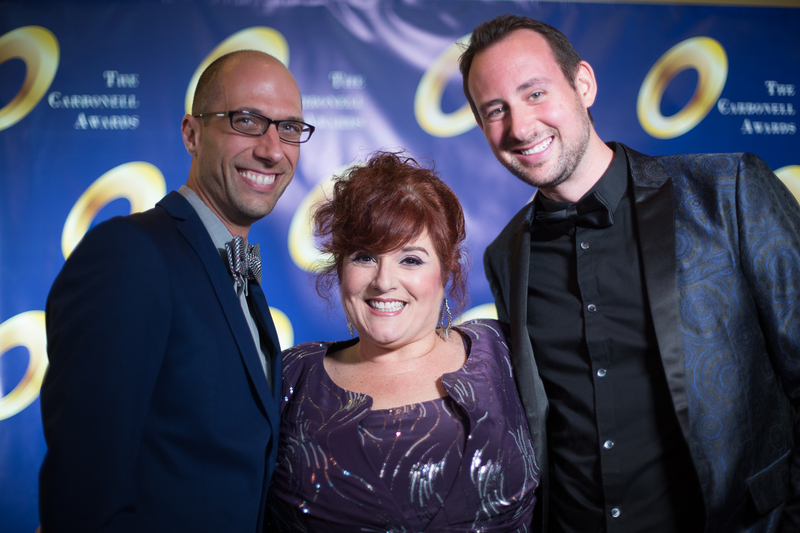 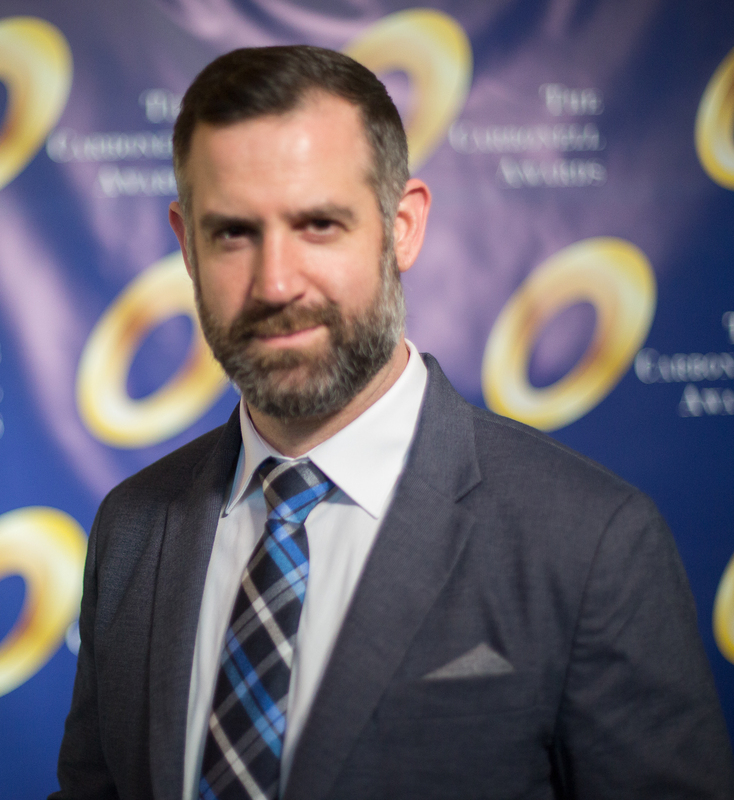 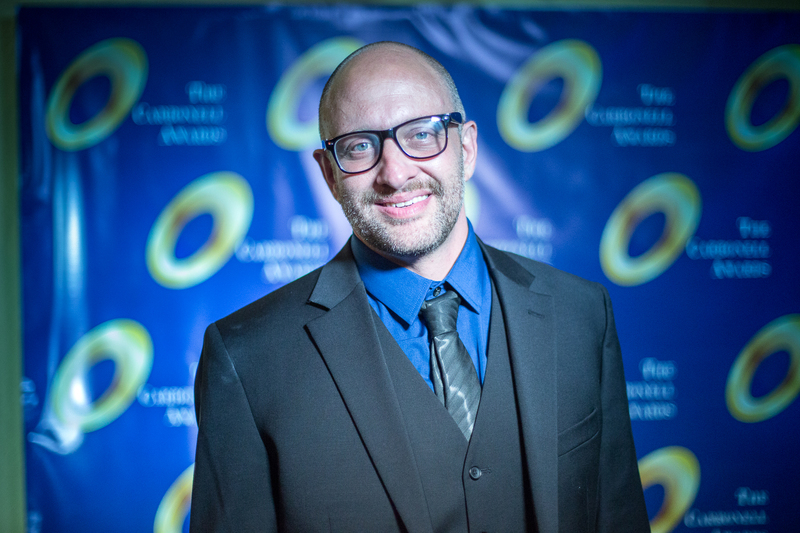 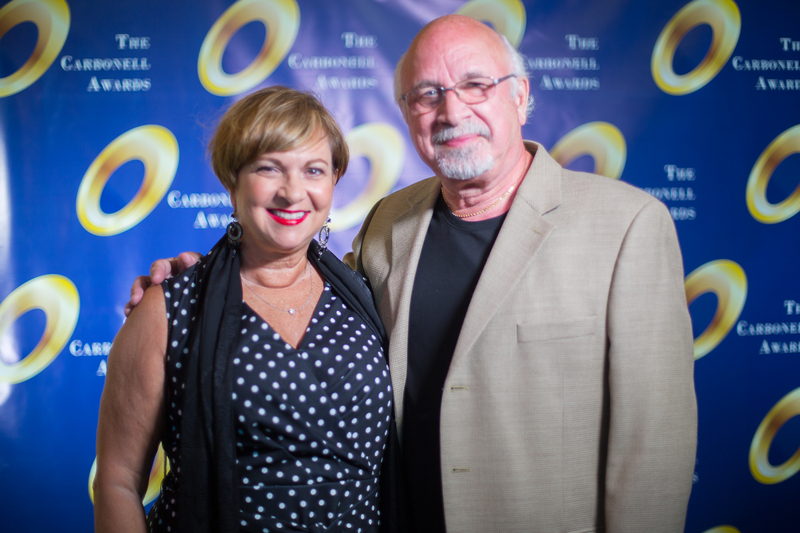 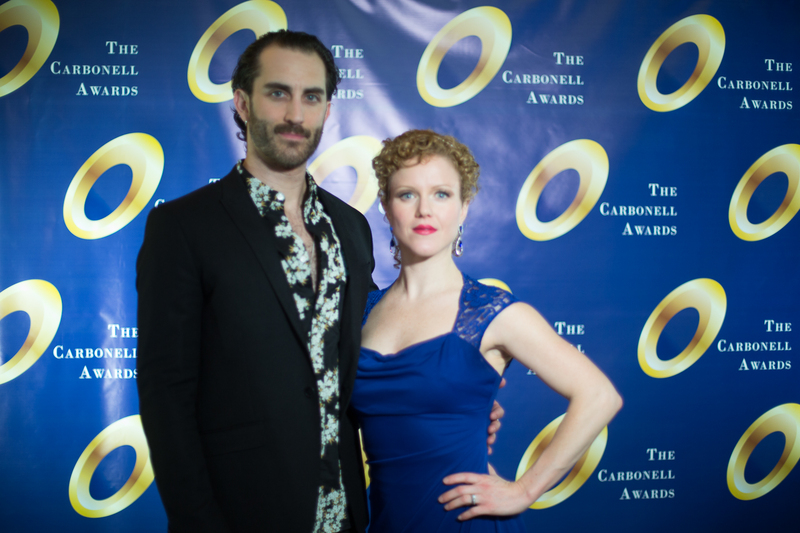 Jeff Quinn won Best Lighting Design for Constellations at GableStage. 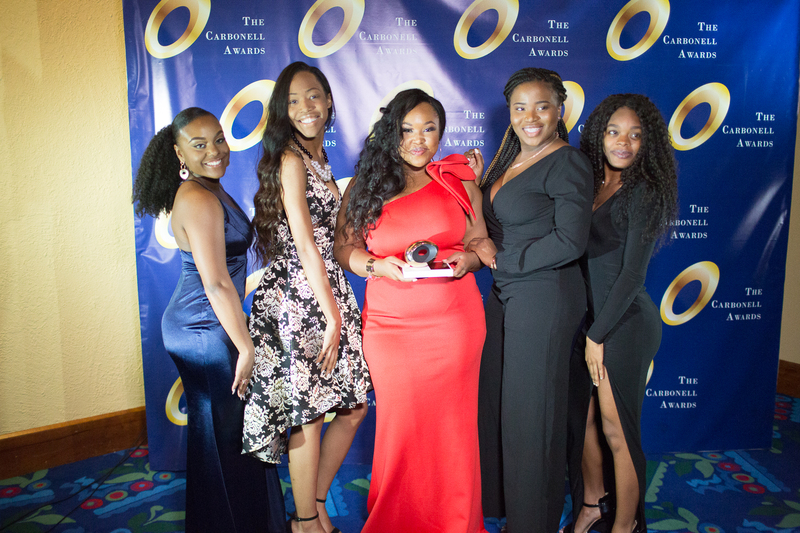 Palm Beach County scored high in the region with 13 wins, Miami-Dade County with 4 wins, Broward County with 3 wins. 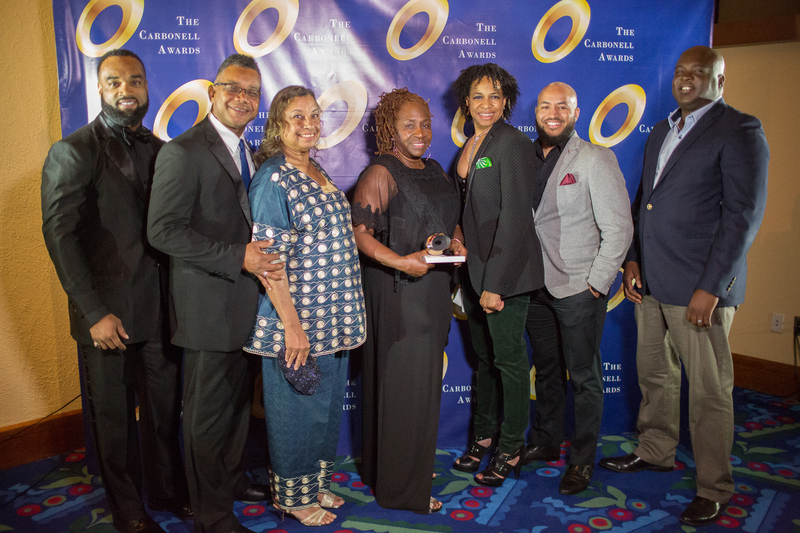 The awards were distributed between 12 productions at 7 theaters. 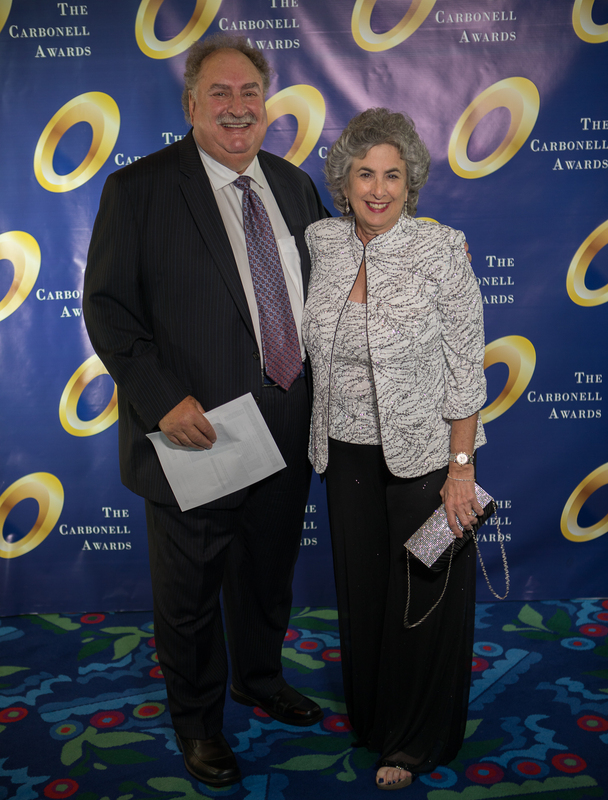 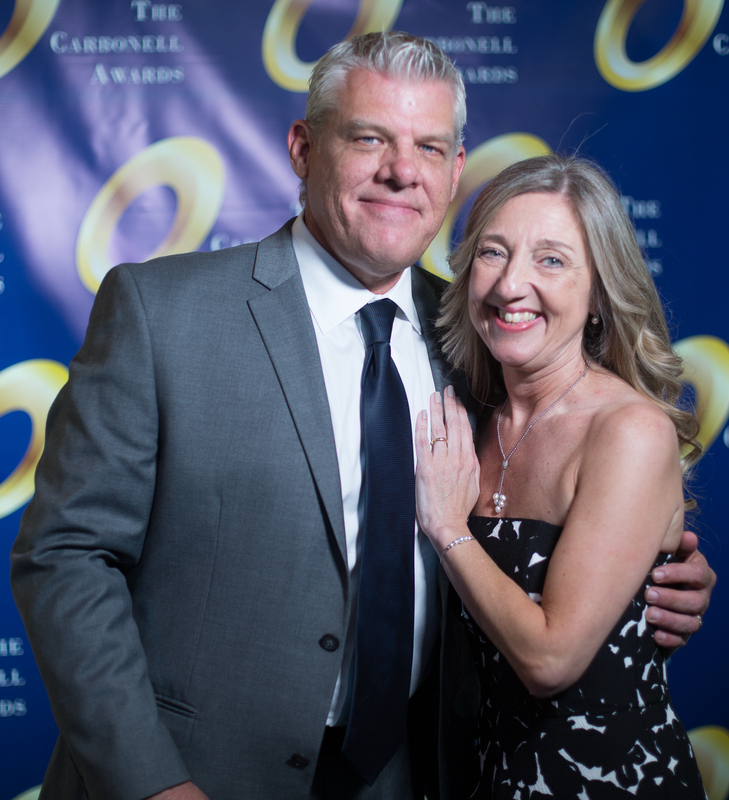 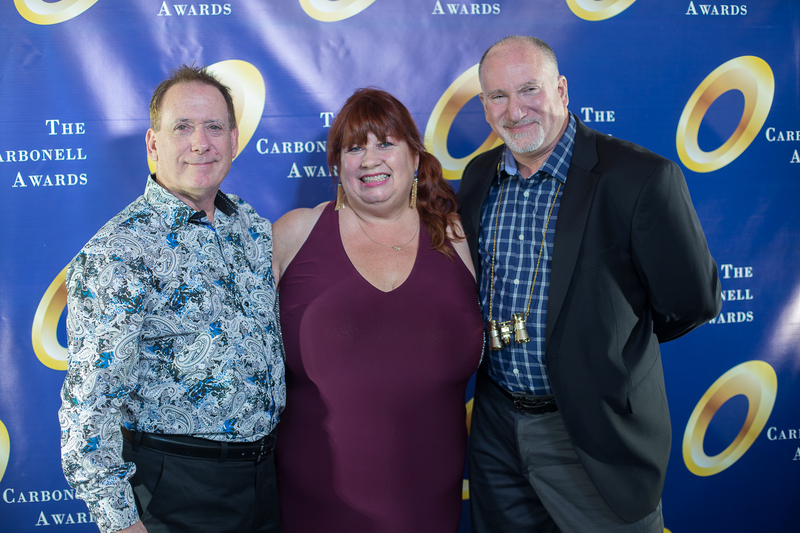 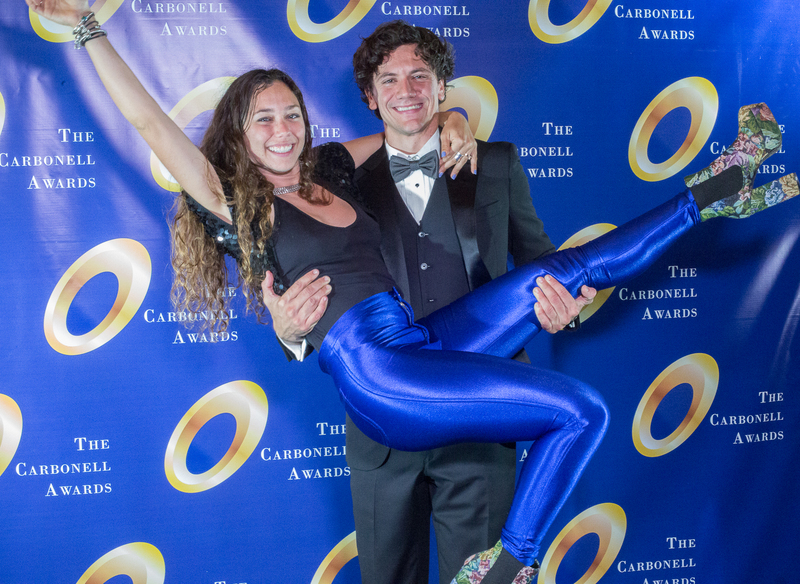 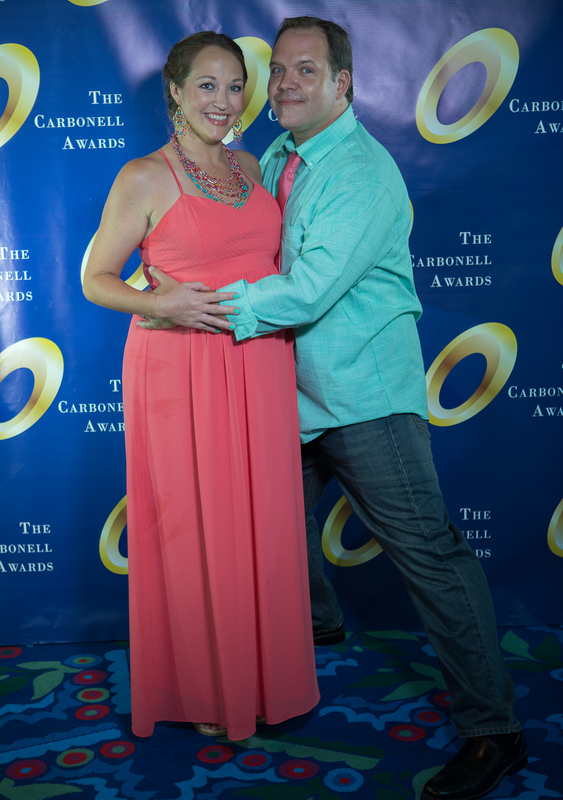 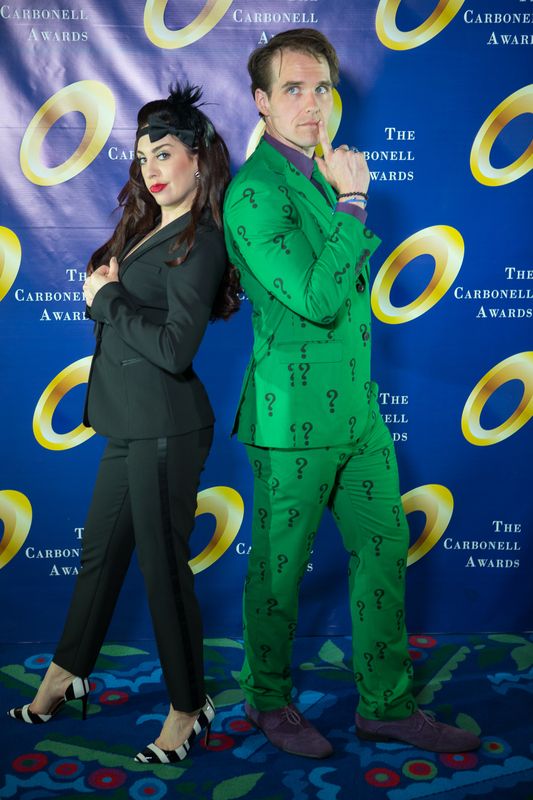 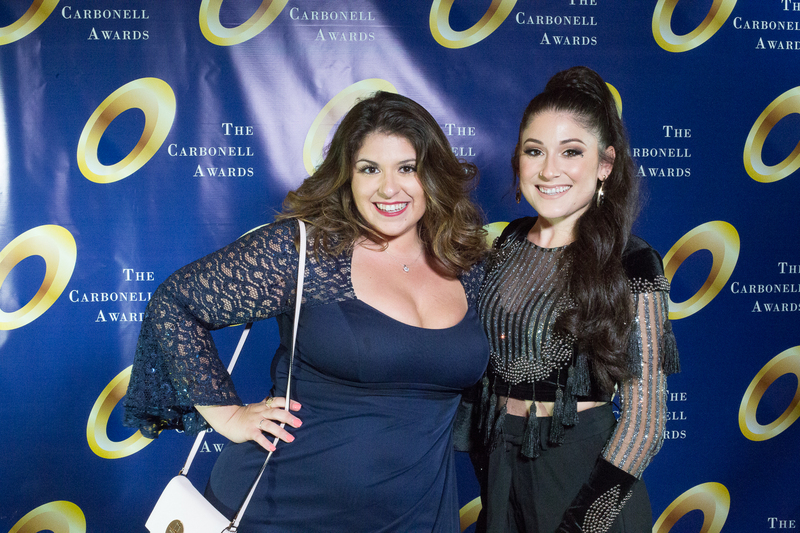 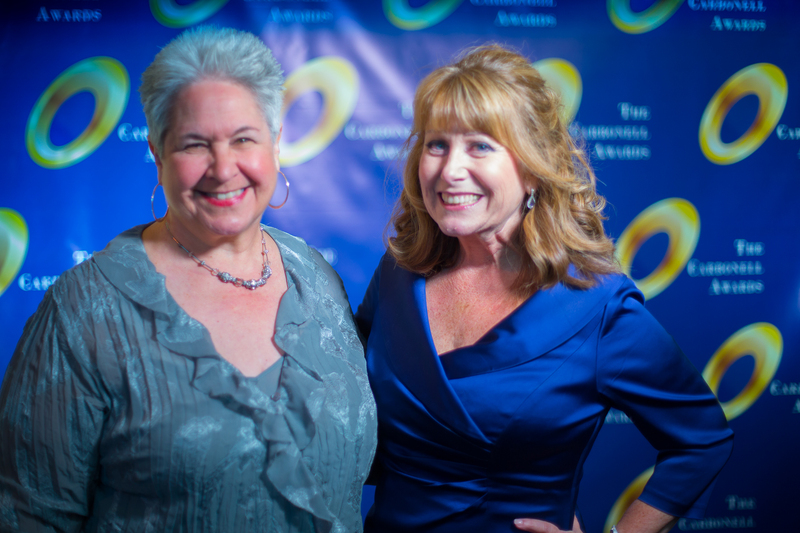 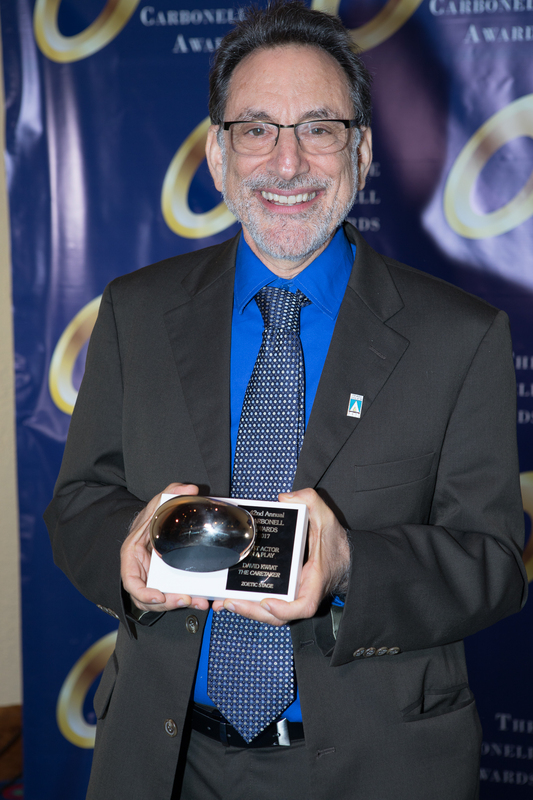 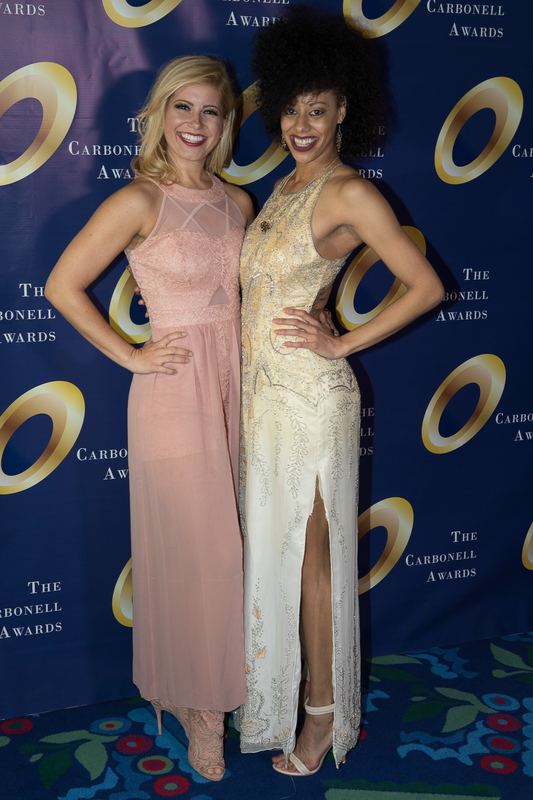 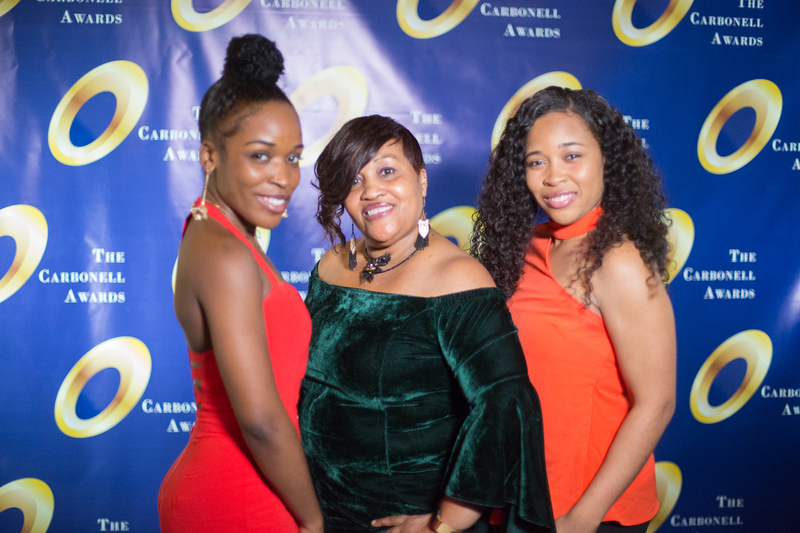 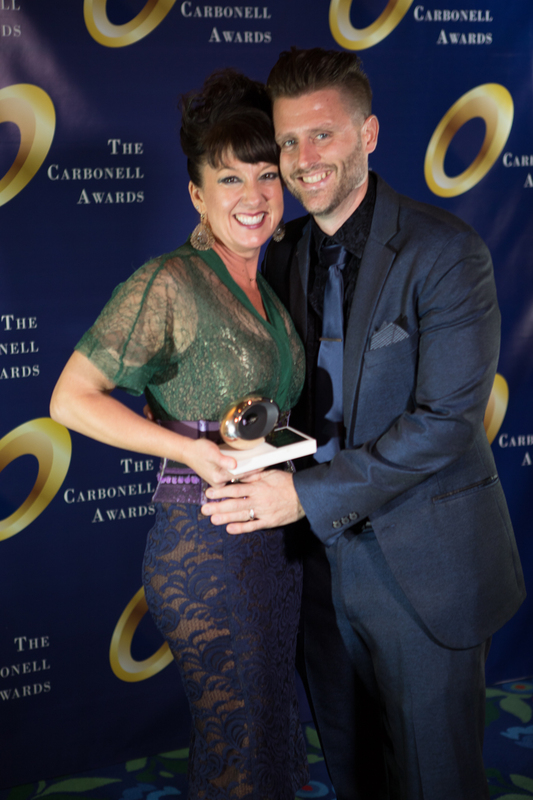 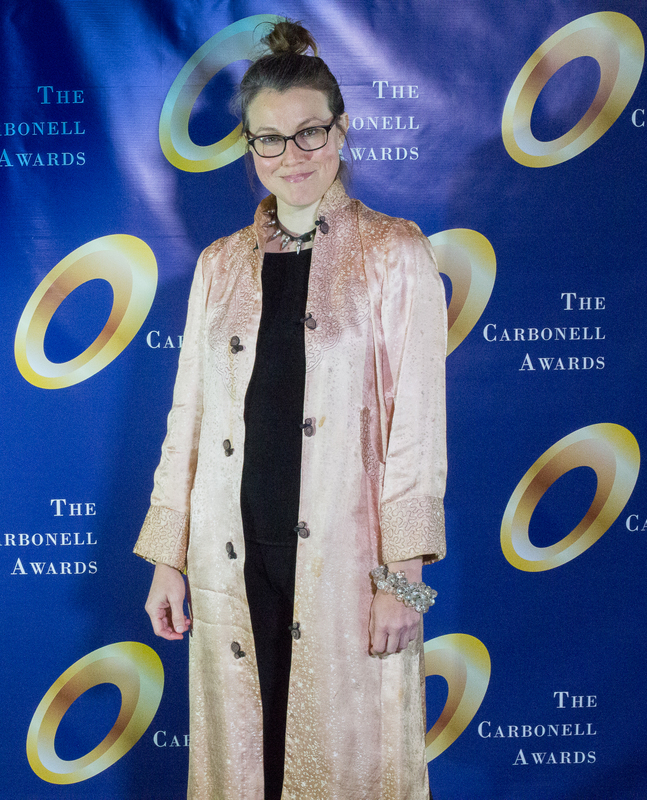 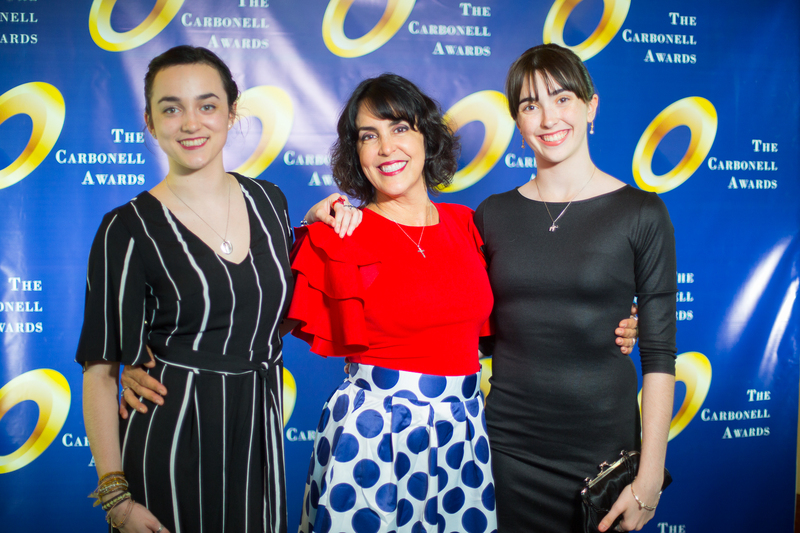 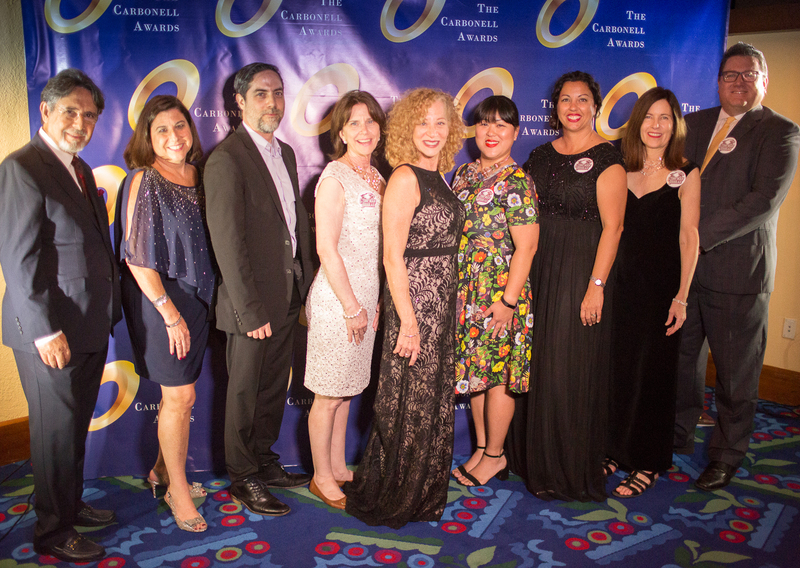 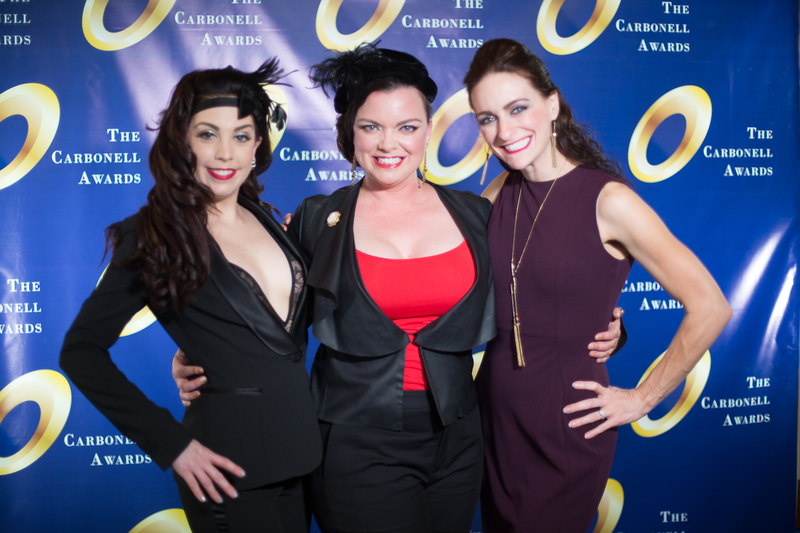 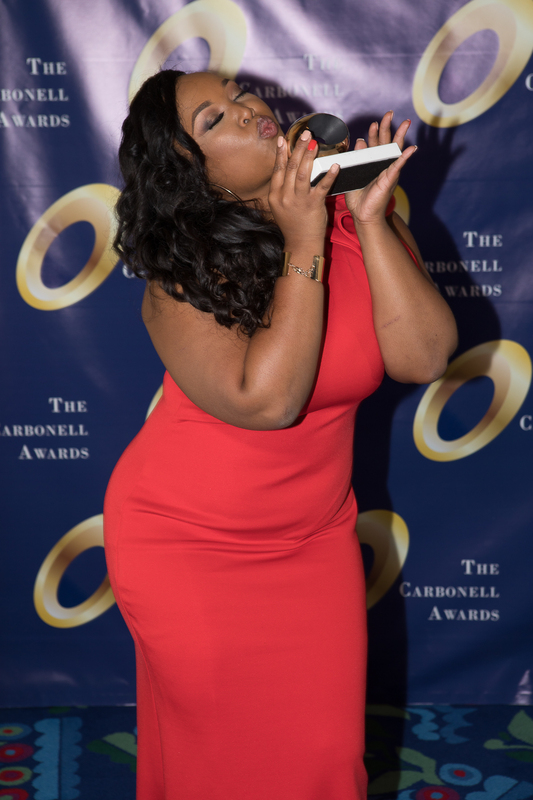 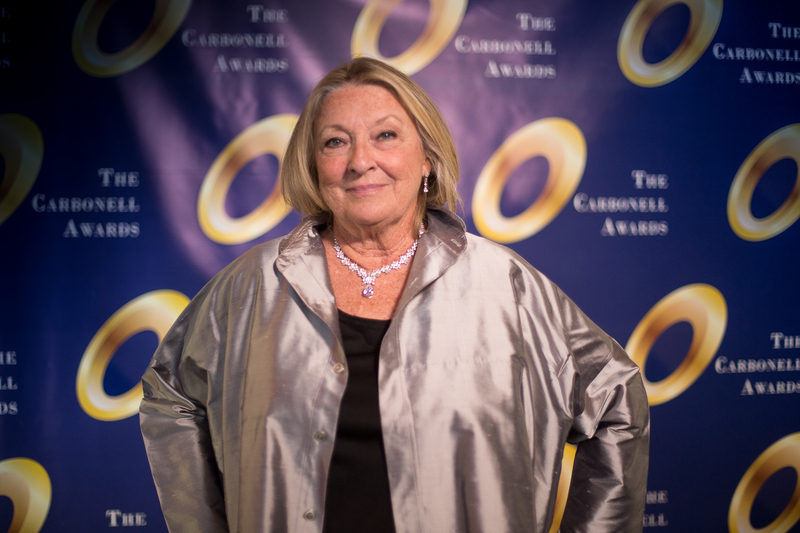 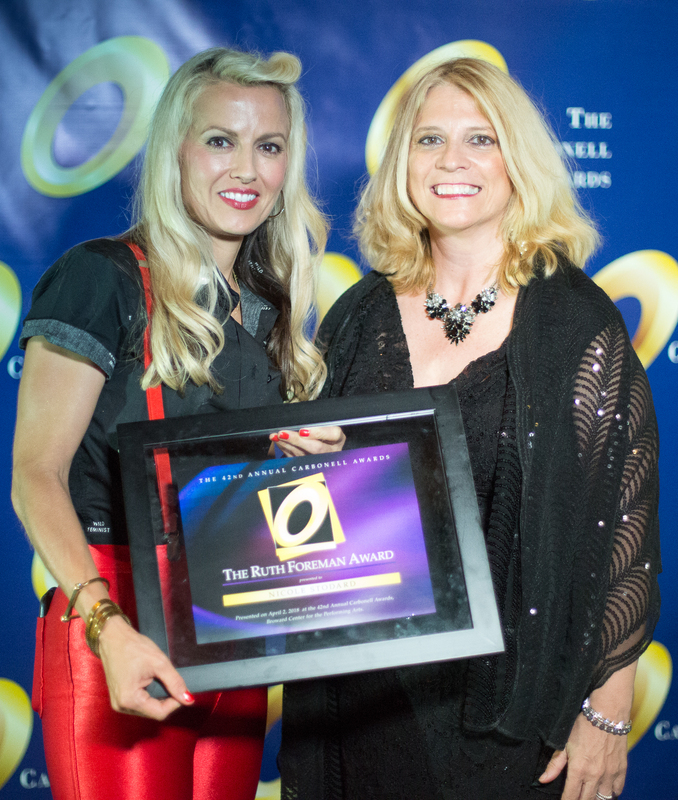 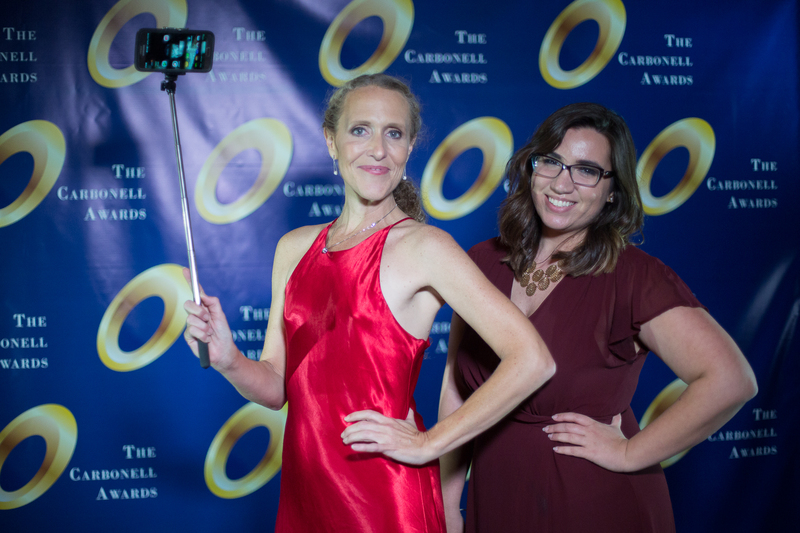 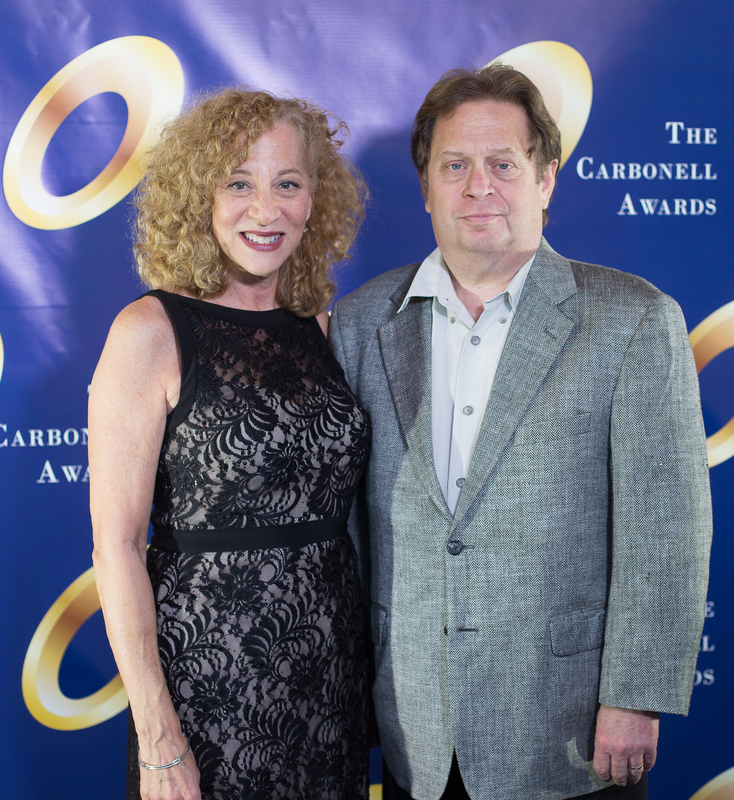 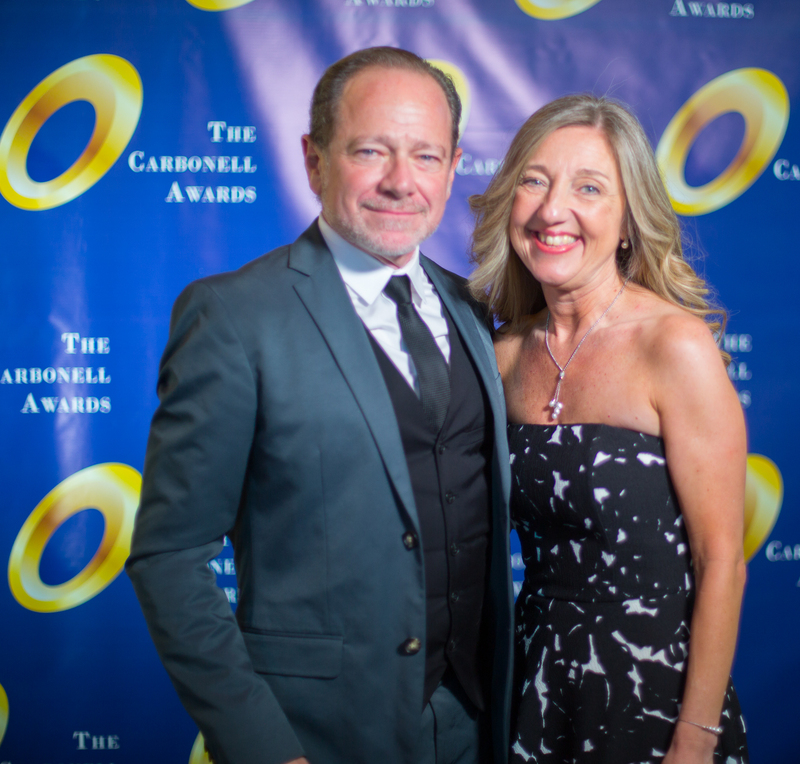 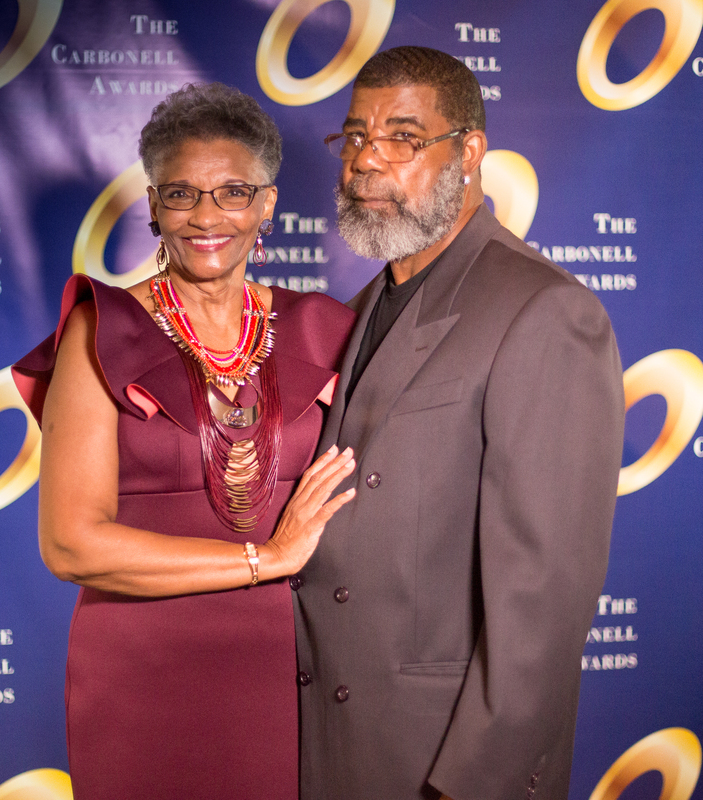 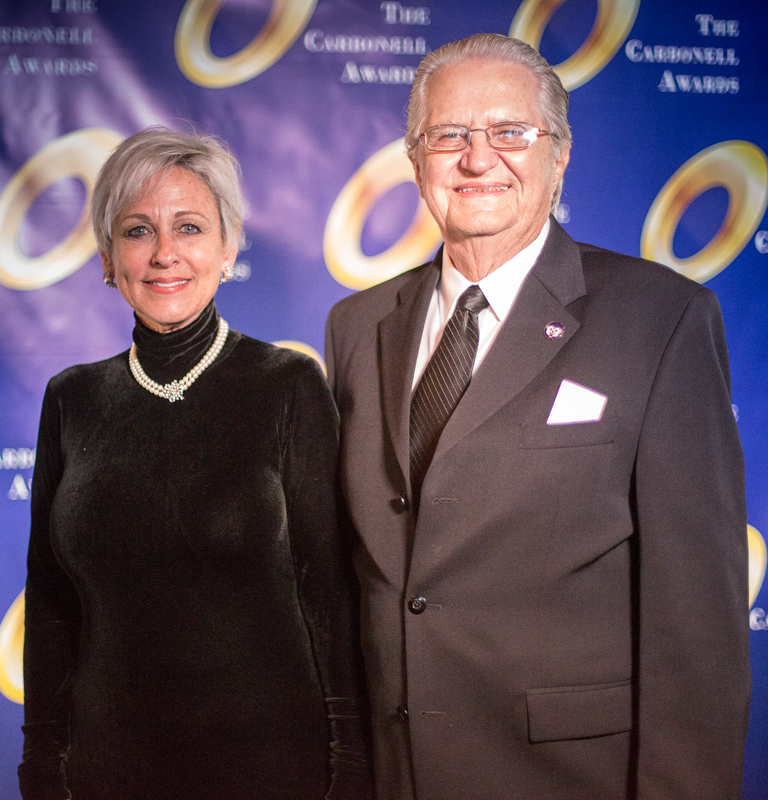 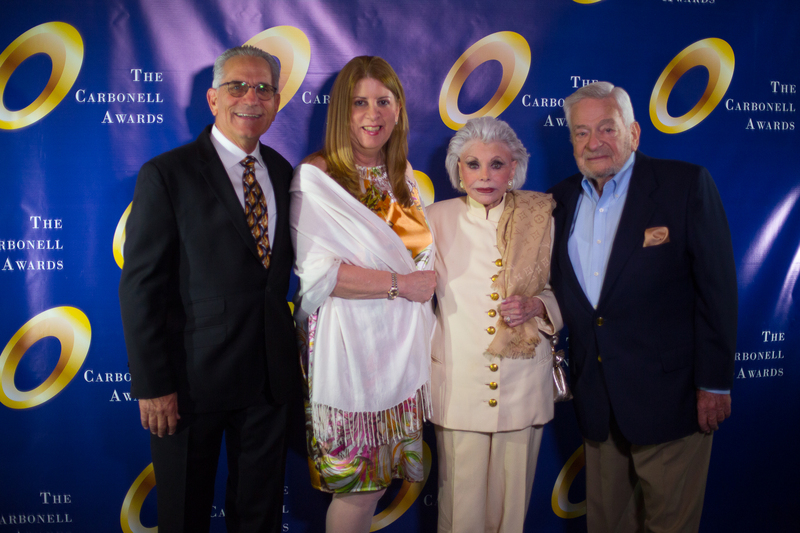 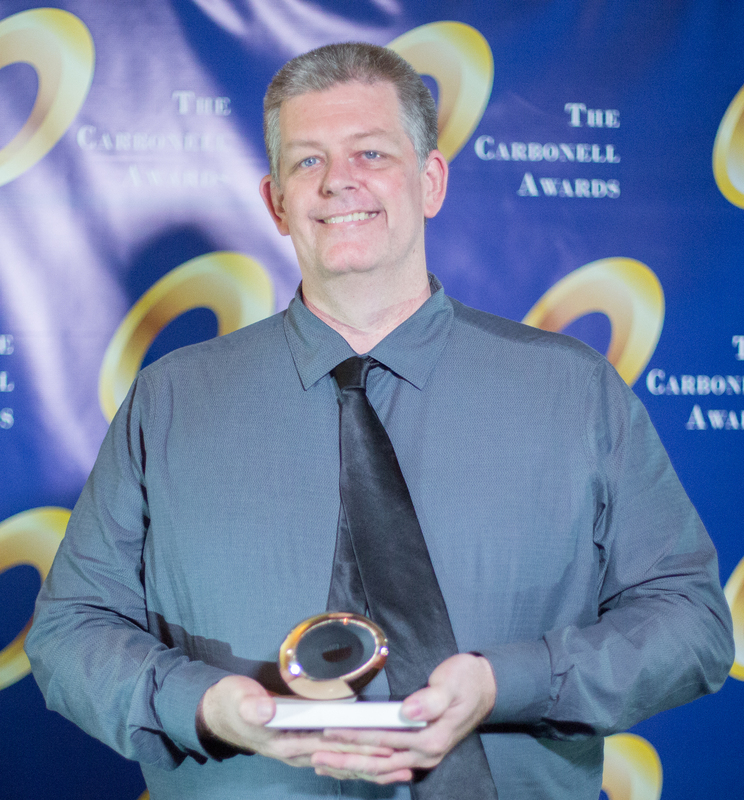 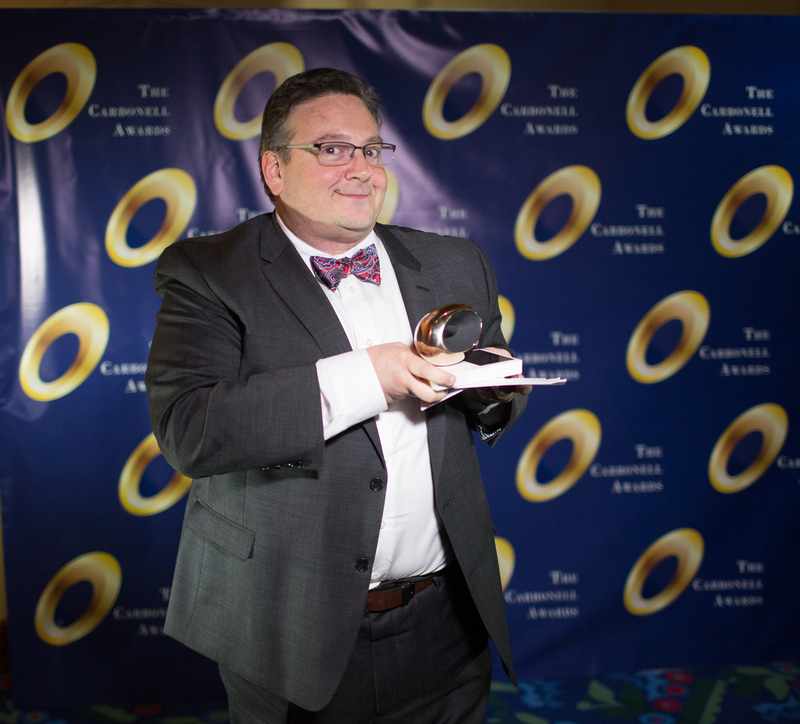 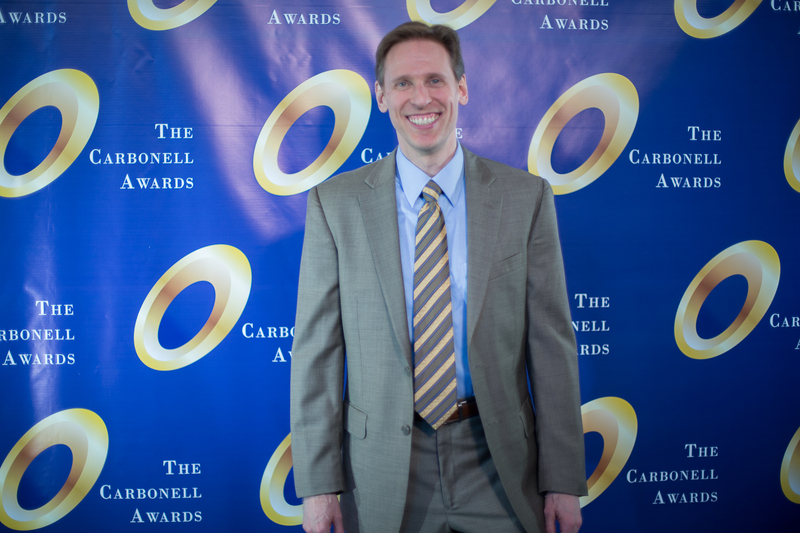 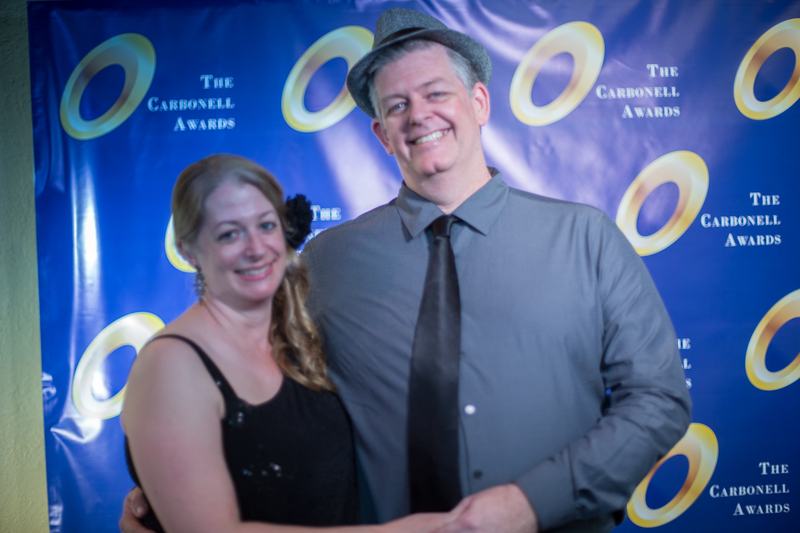 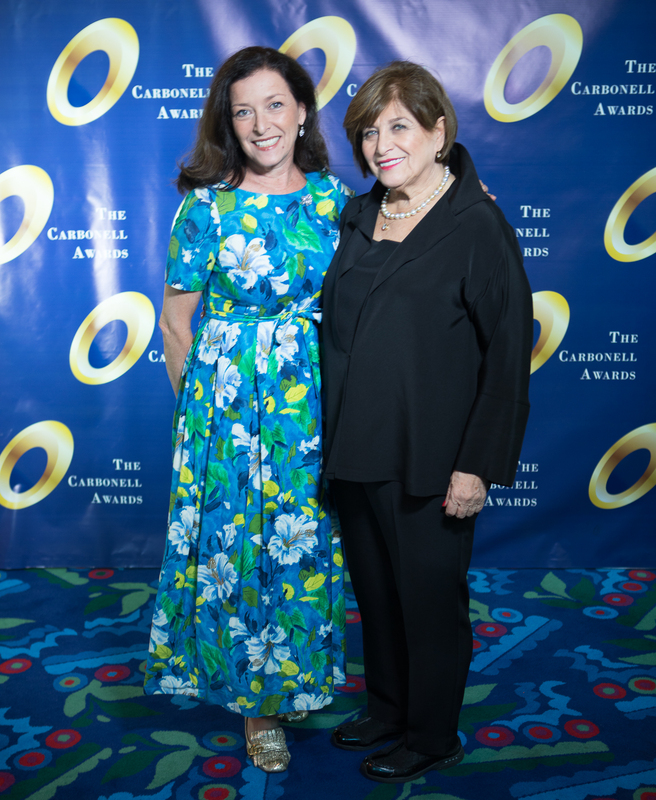 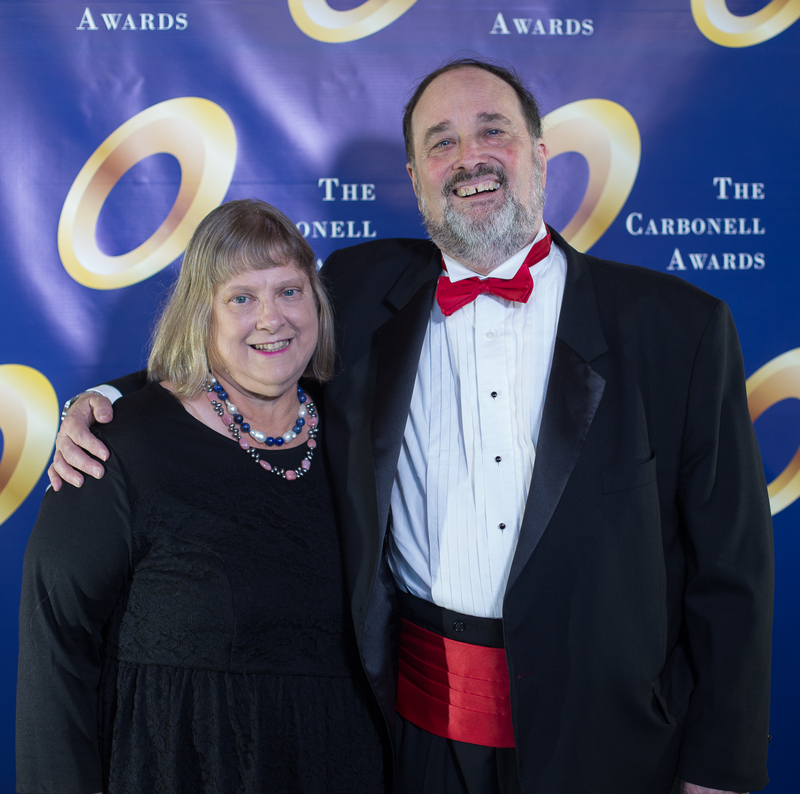 Monday’s ceremony was the culmination of a year-long celebration of the Carbonell Awards milestone 40th year, which included an increased social media presence and a Carbonell Time Capsule Retrospective looking back at past years. 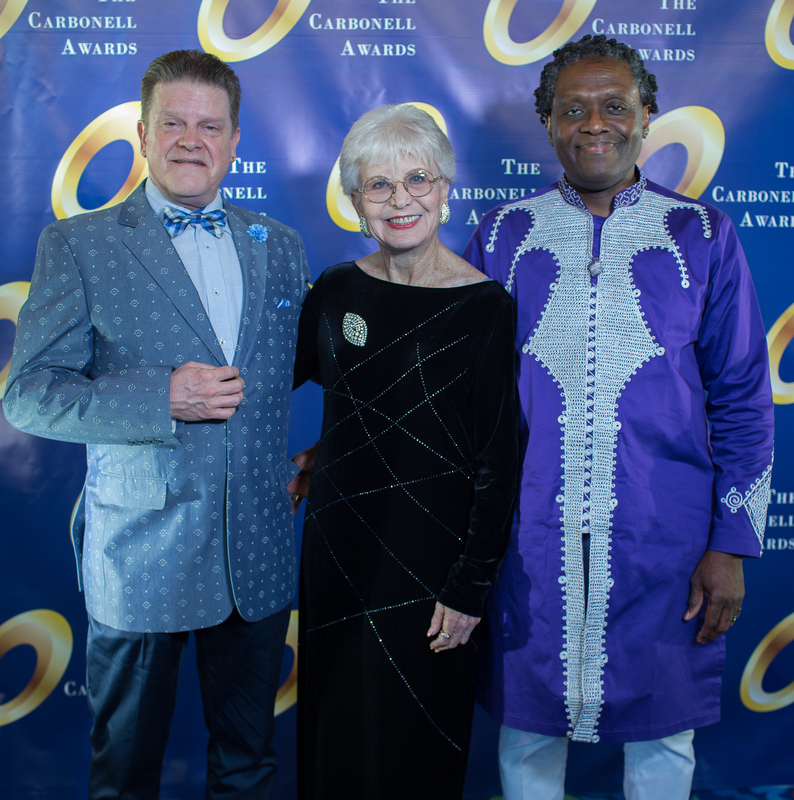 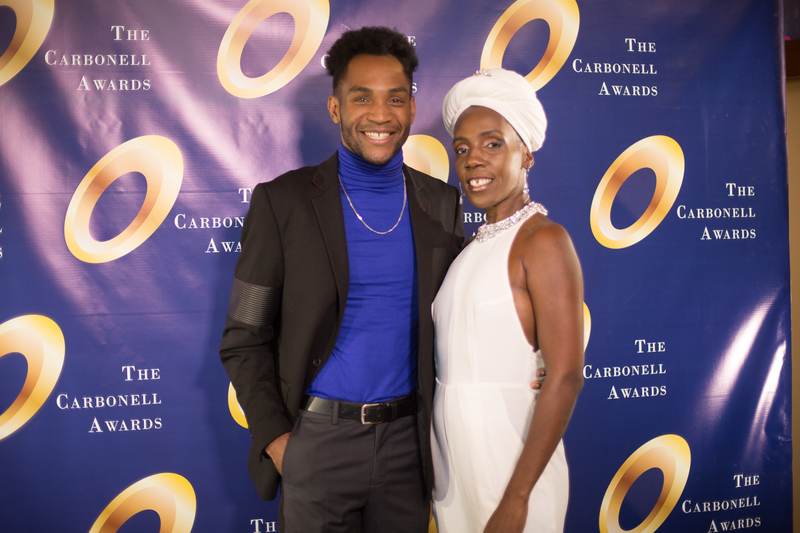 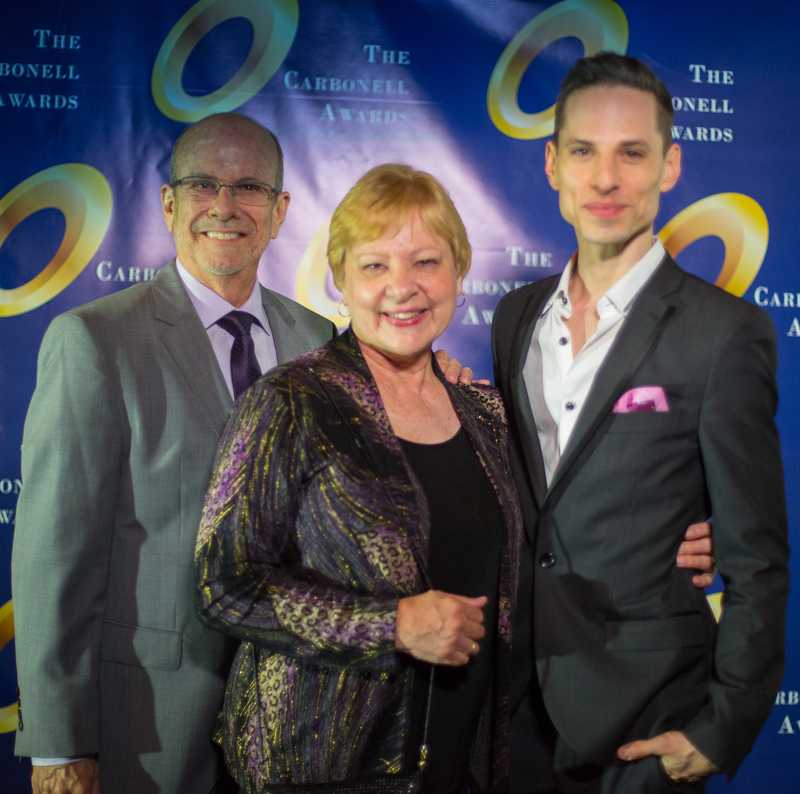 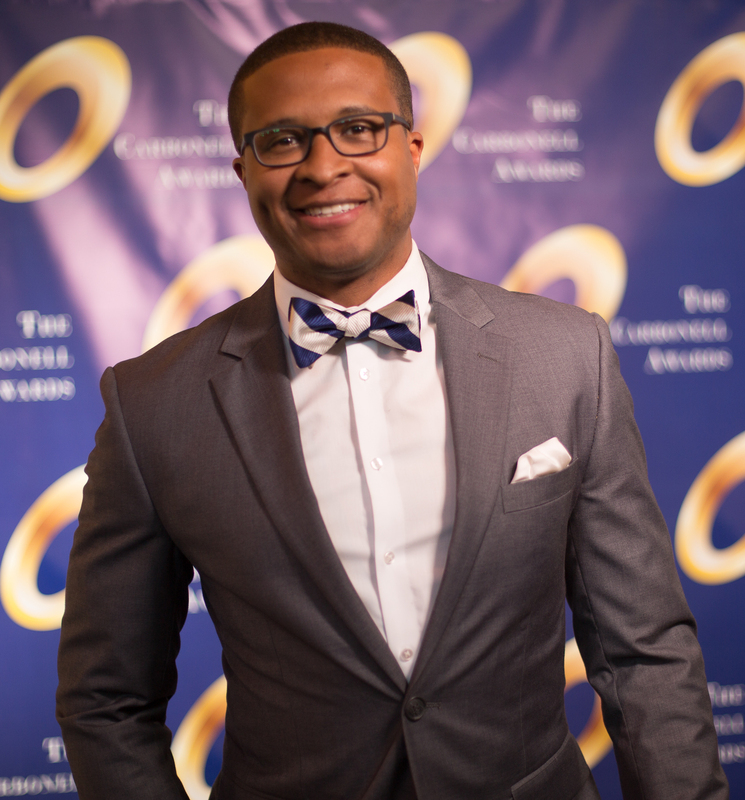 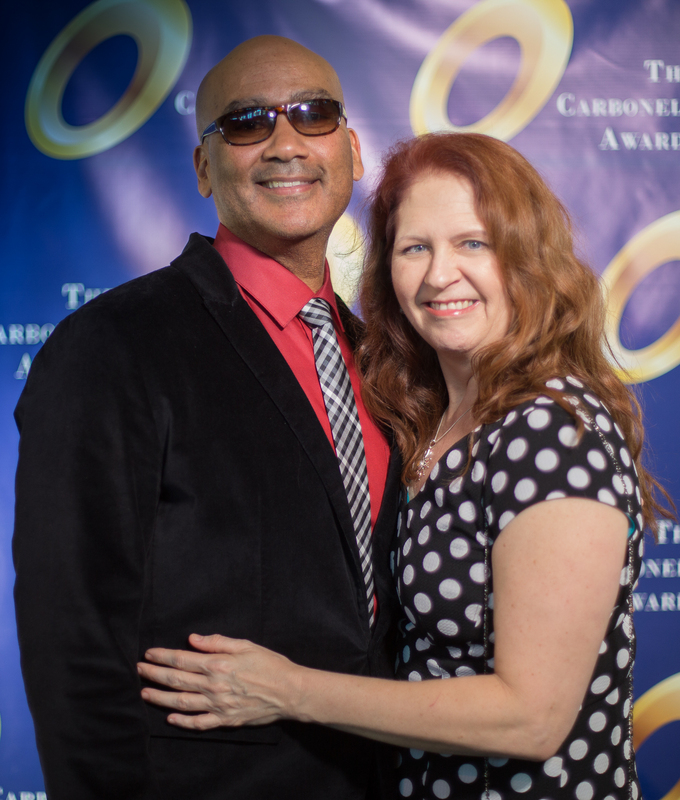 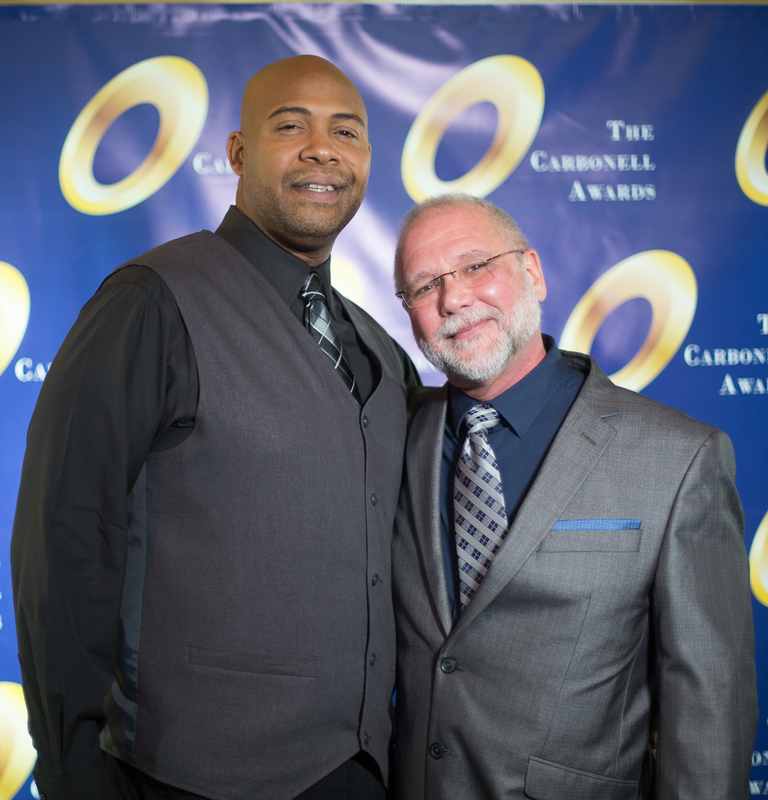 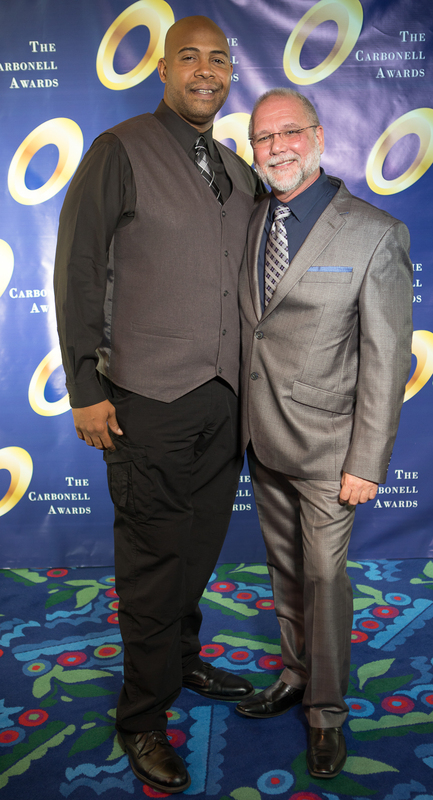 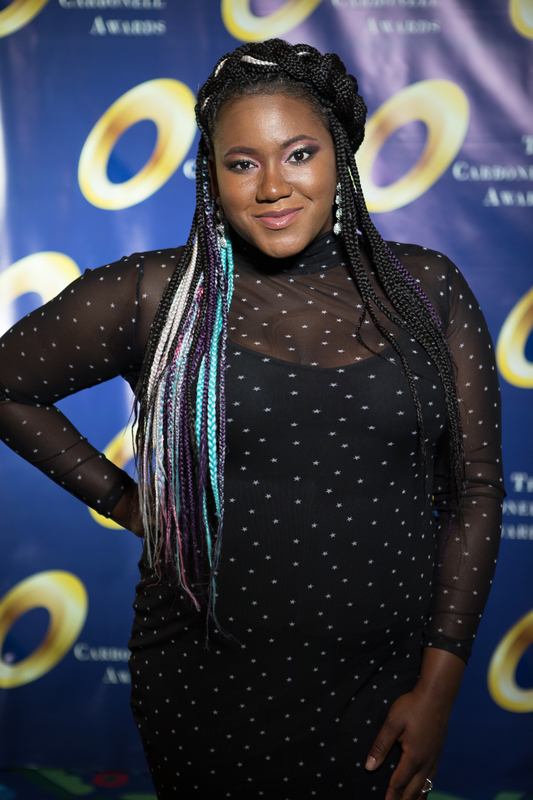 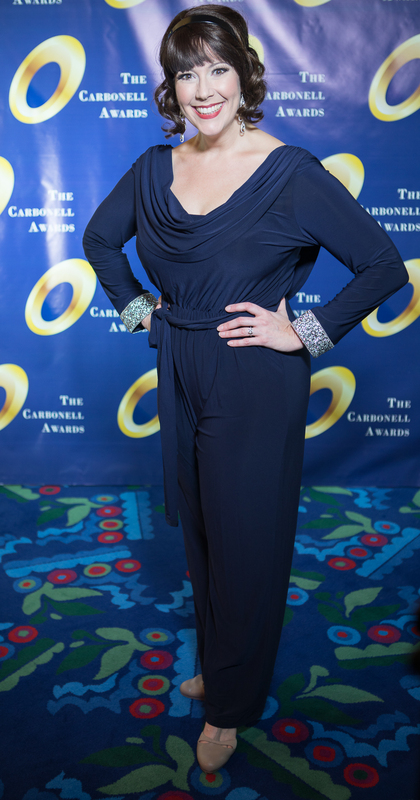 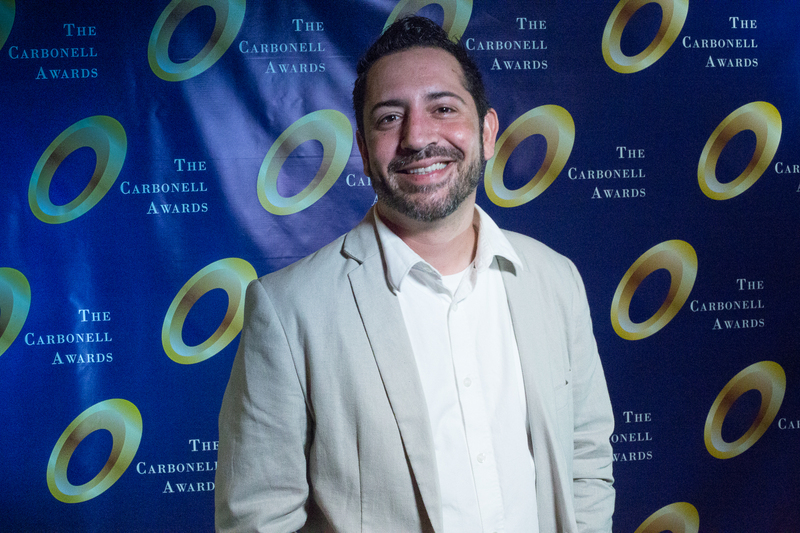 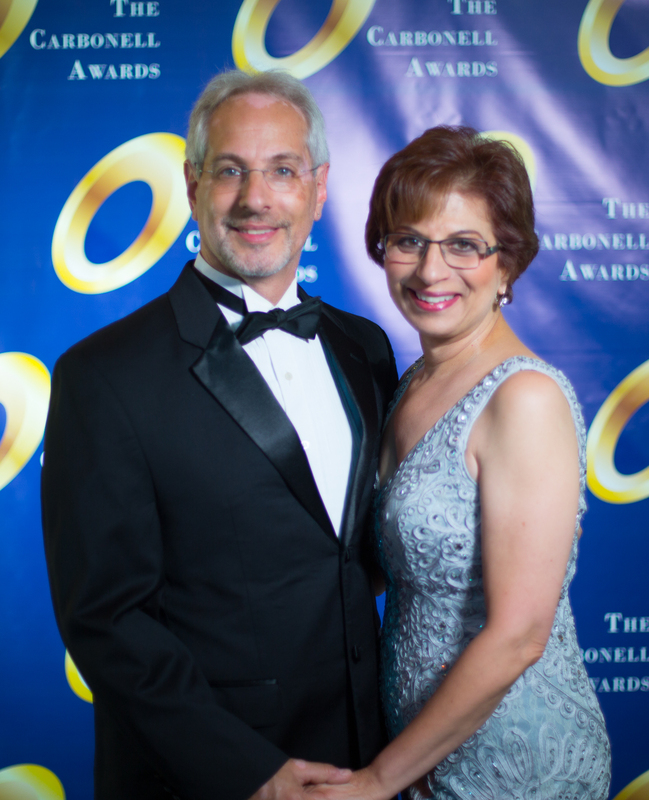 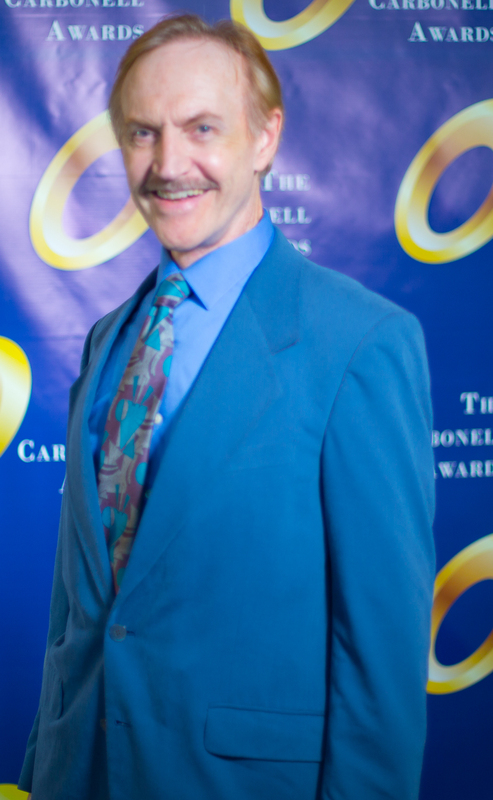 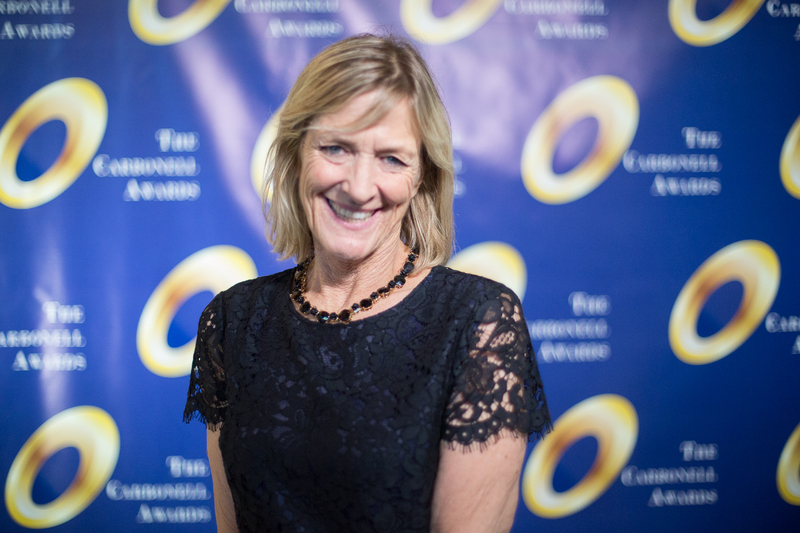 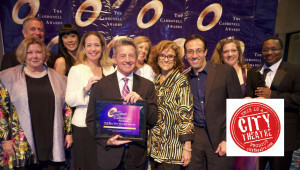 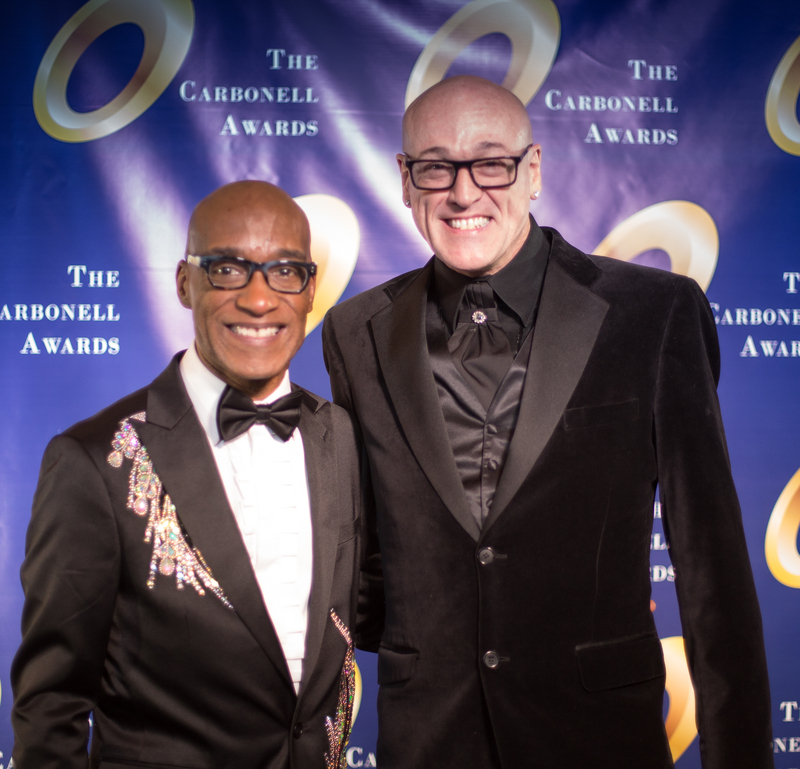 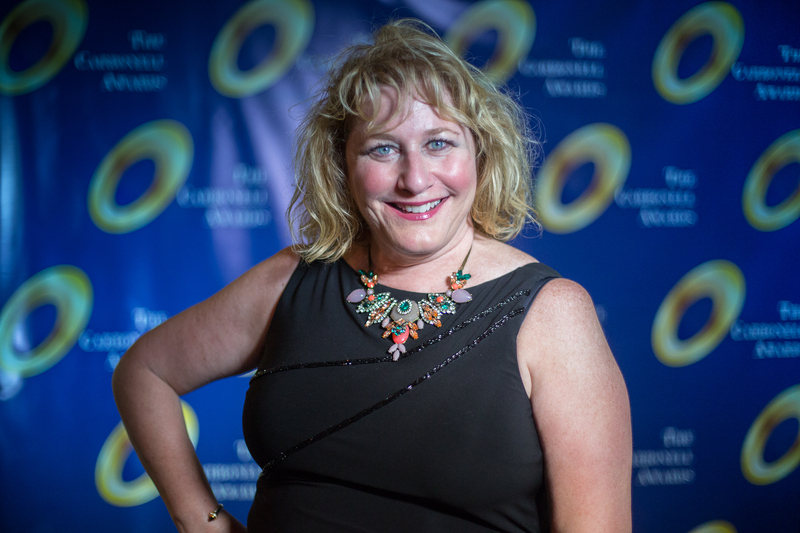 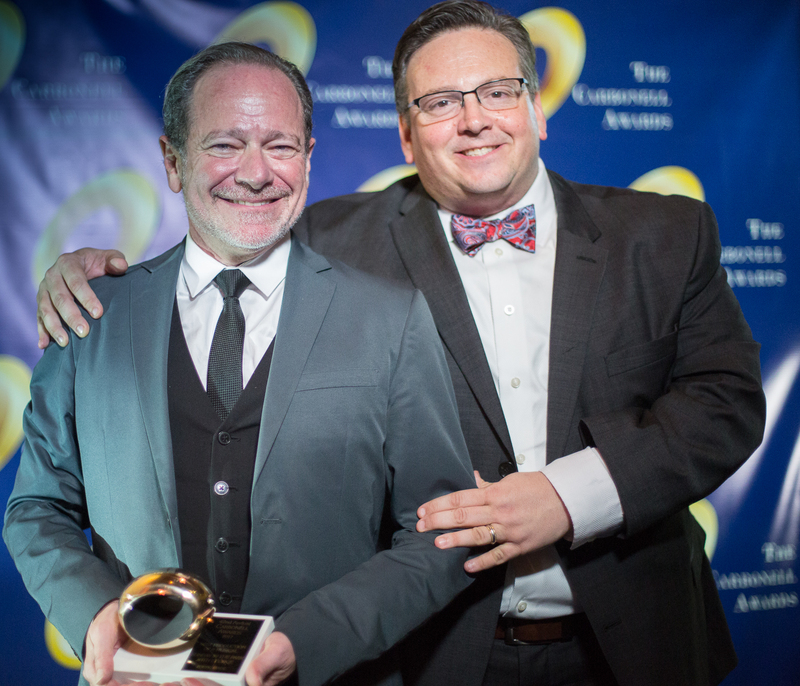 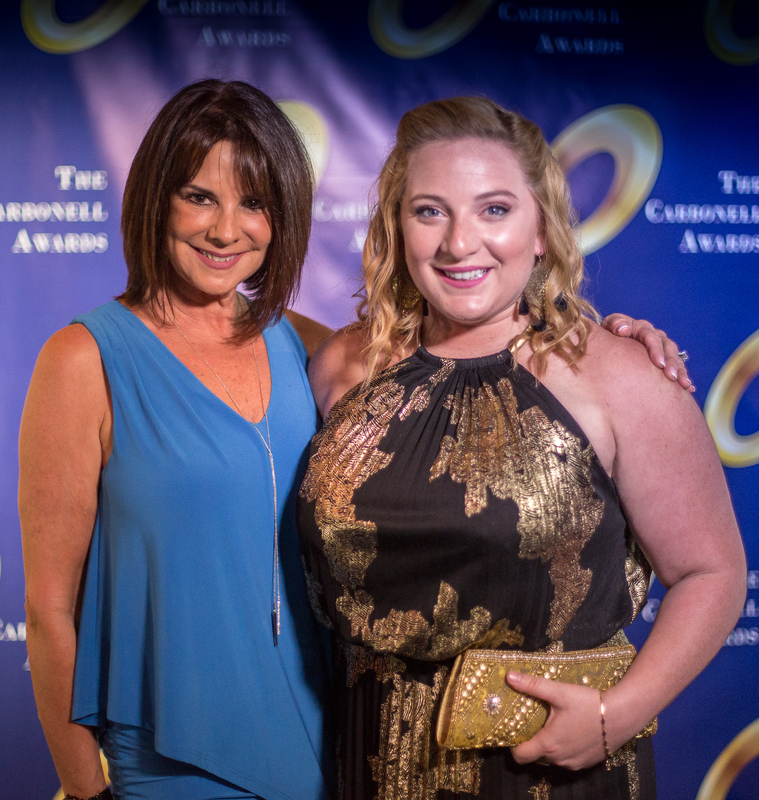 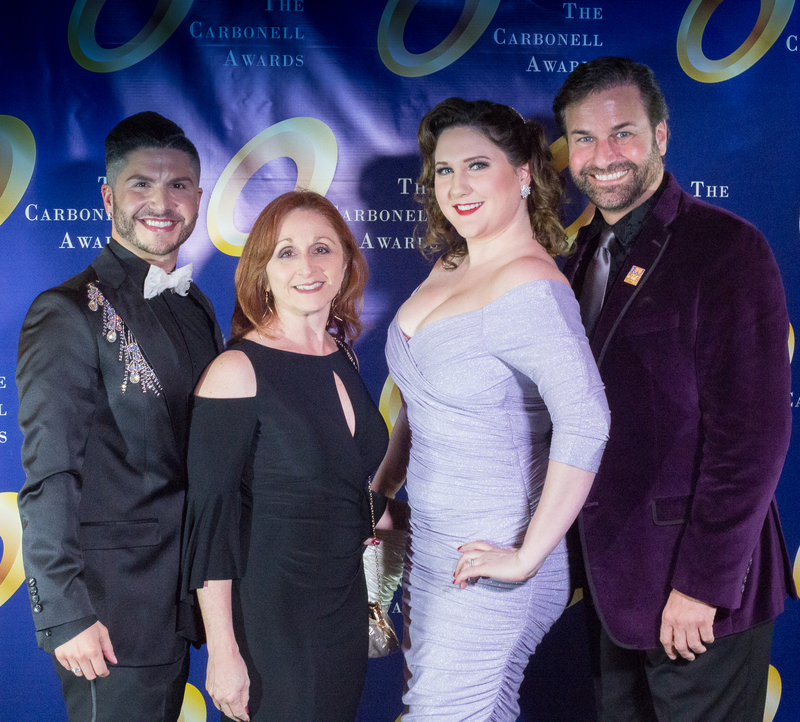 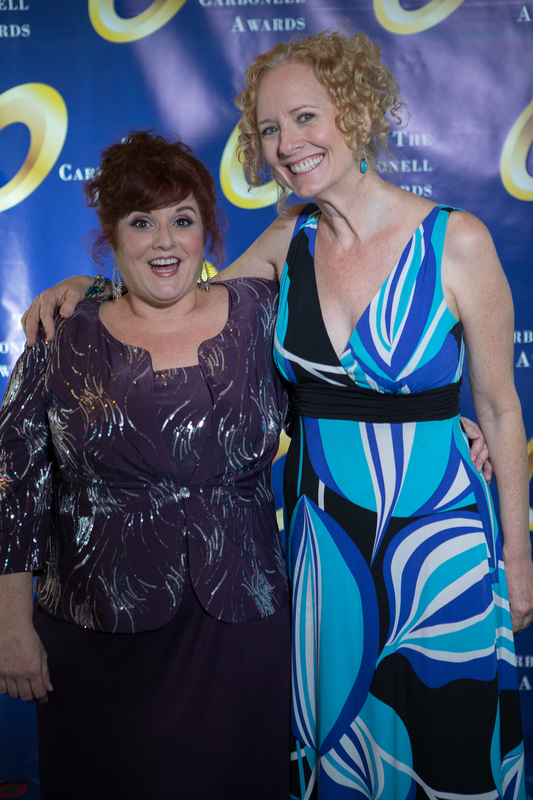 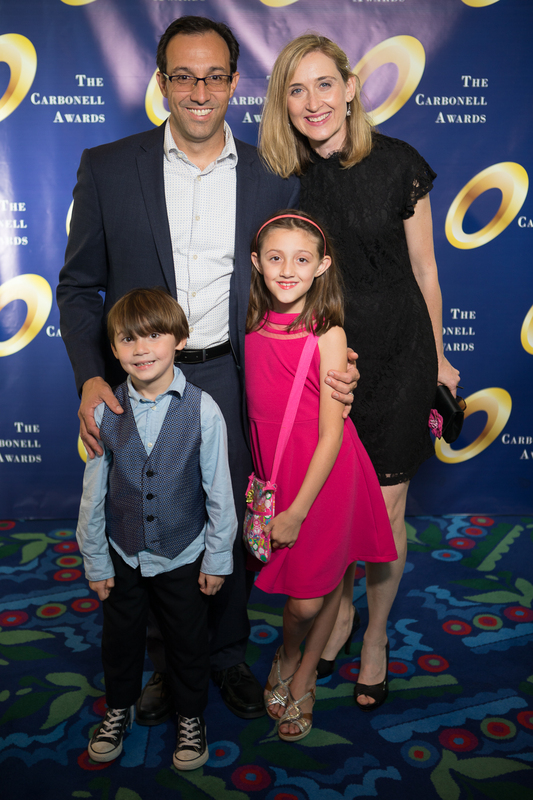 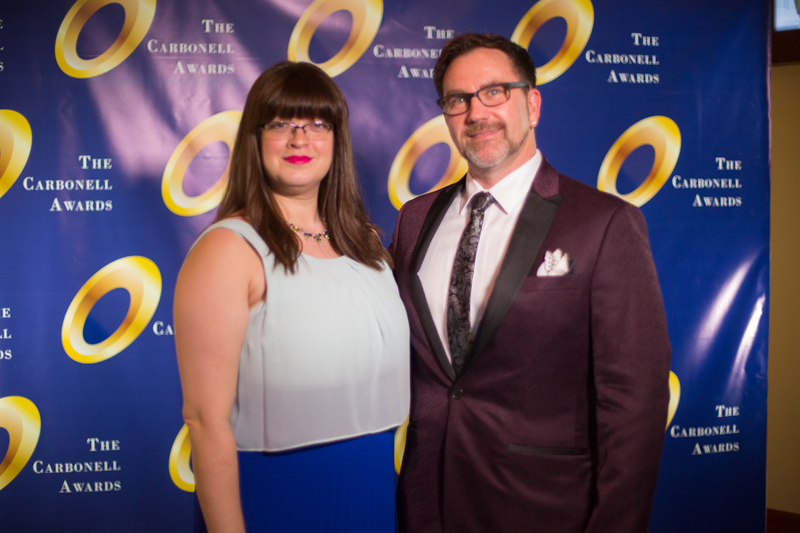 Along with honoring excellence in theater, a highlight of the annual Carbonell Awards ceremony is recognizing those who have made significant contributions to the arts. 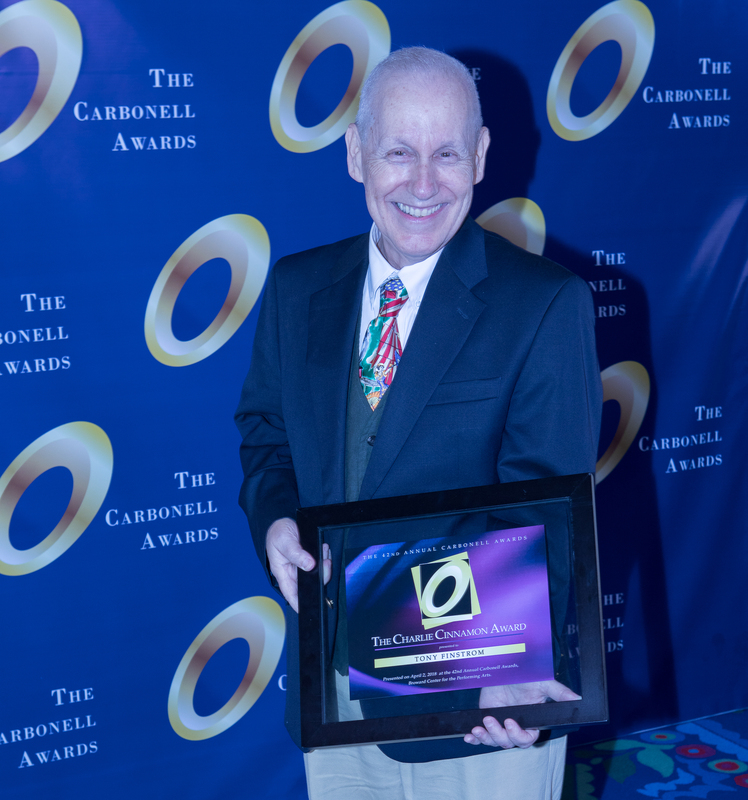 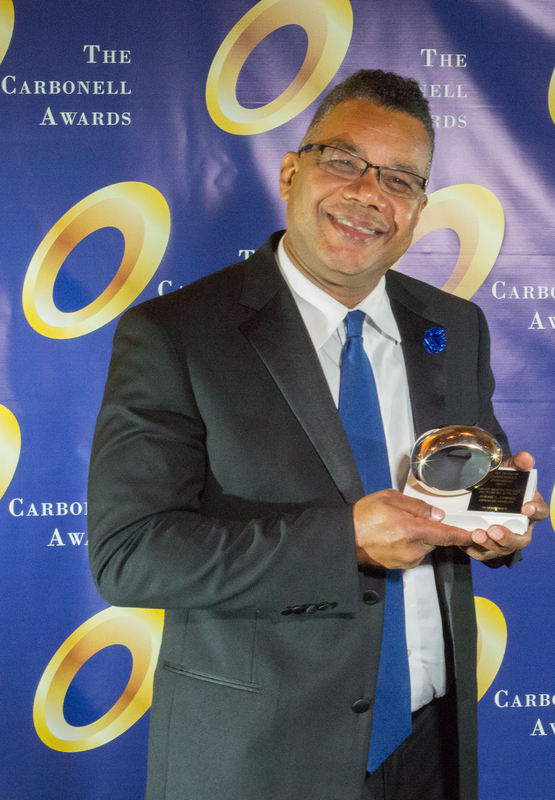 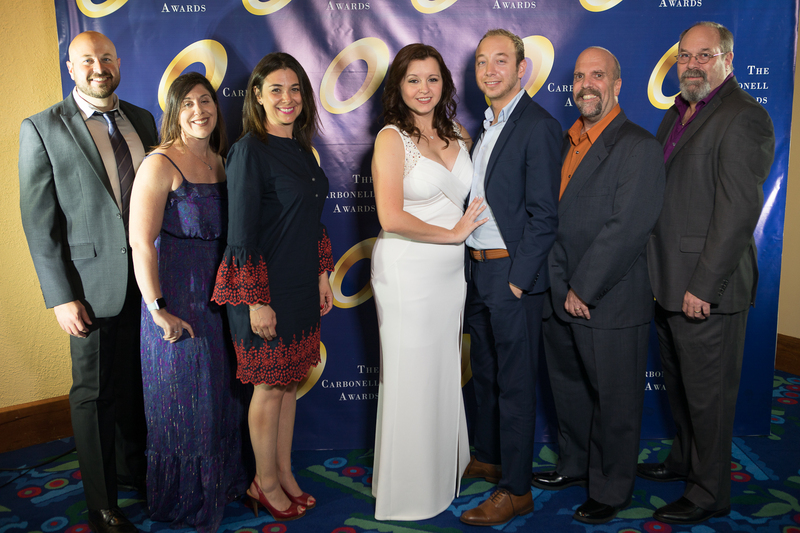 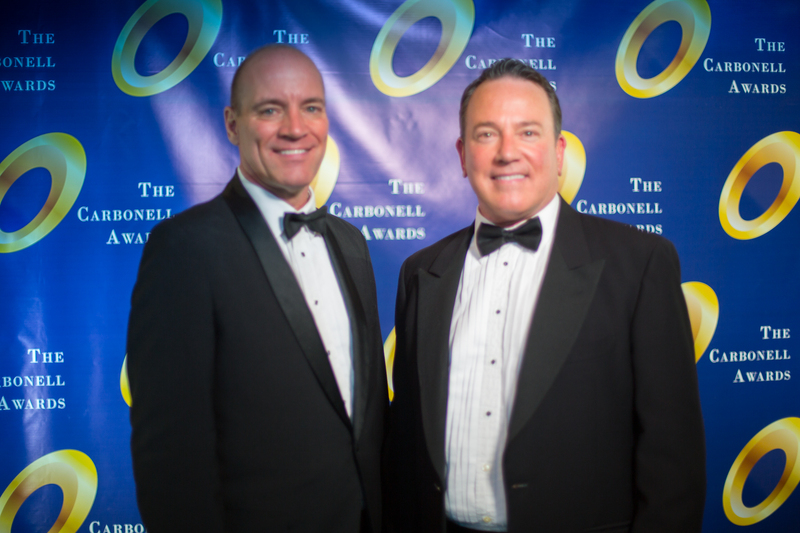 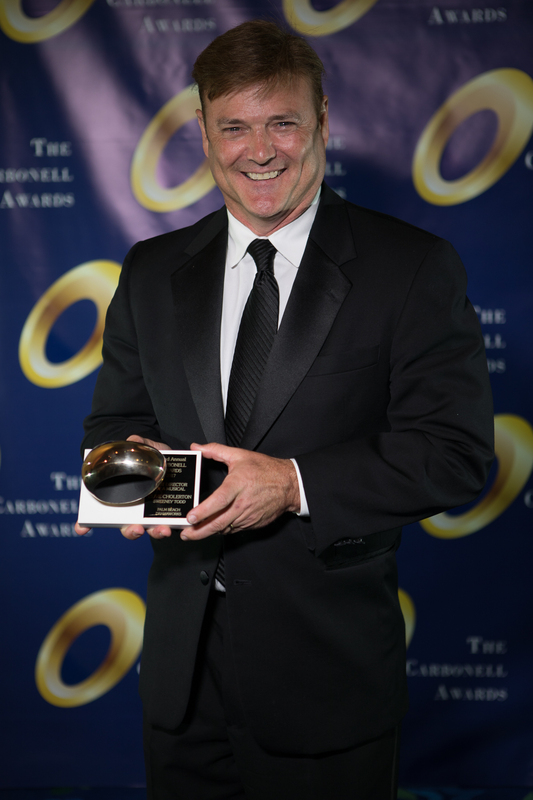 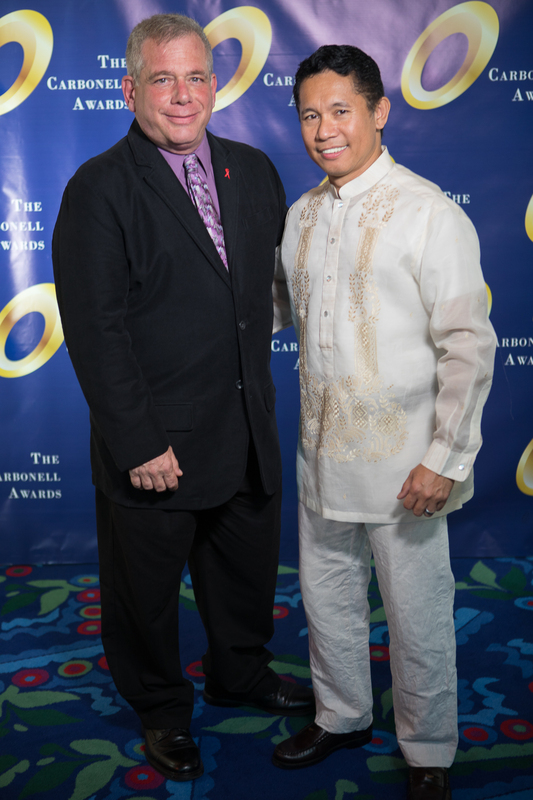 Instead of giving out three special awards as in past years, the Carbonell Board of Directors this year decided to give out four special awards, one for each decade of the Carbonell Awards’ existence. 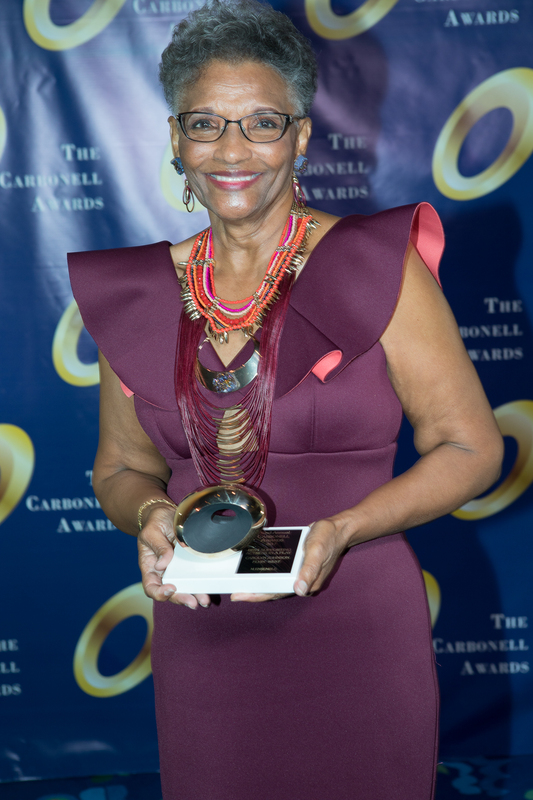 The prestigious George Abbott Award for Outstanding Achievement in the Arts, awarded to an individual (or team) who has contributed significantly to the artistic and cultural development of the region, was presented to Patricia E. Williams and Shirley Richardson, the creative team behind The M Ensemble Company Inc., the oldest surviving theater in Florida dedicated to producing African-American work. 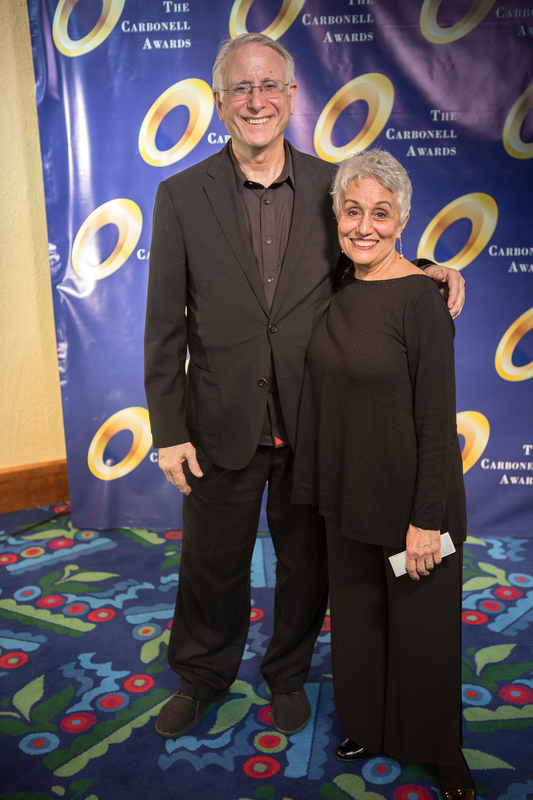 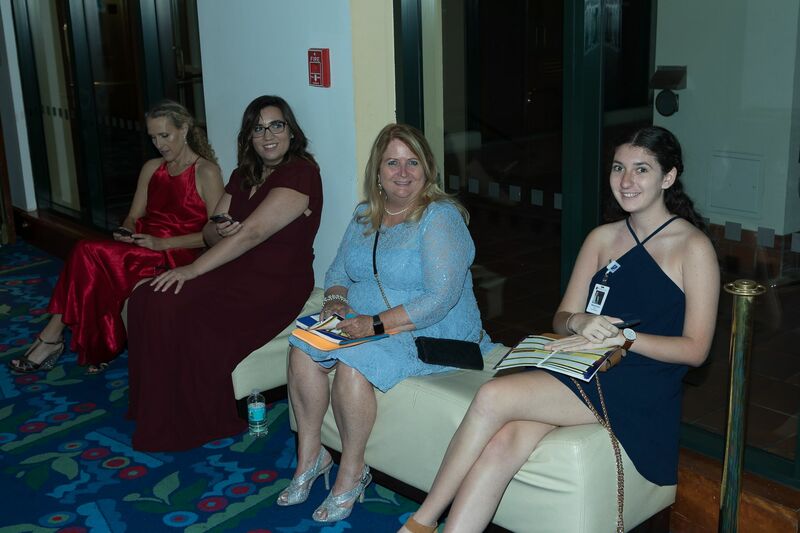 The Bill von Maurer Award, which recognizes significant contributions to South Florida theater development by an individual or group, was awarded to City Theatre for the company’s dedication to the short form play and fostering new play development. 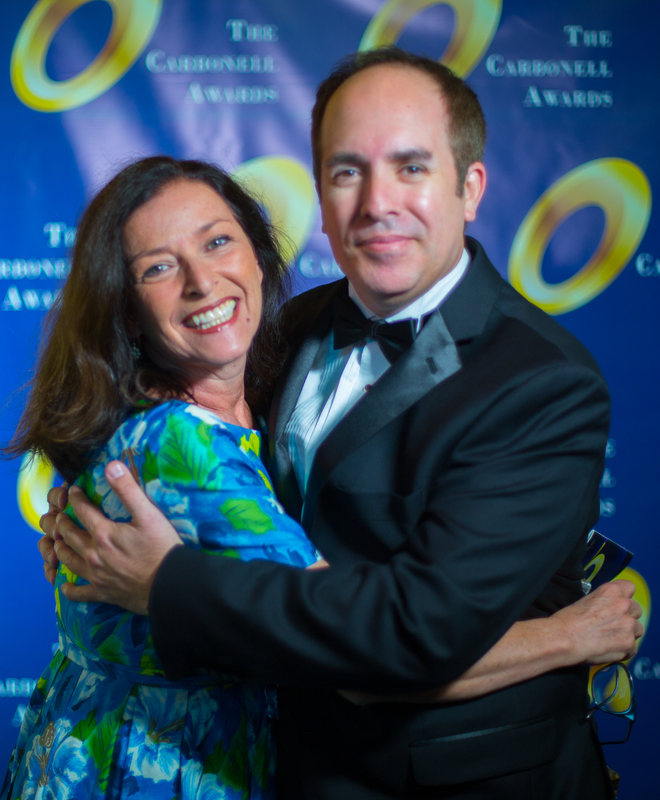 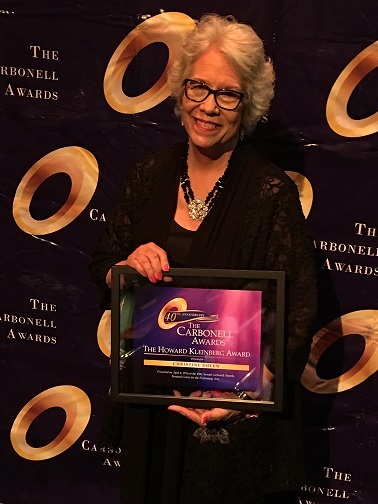 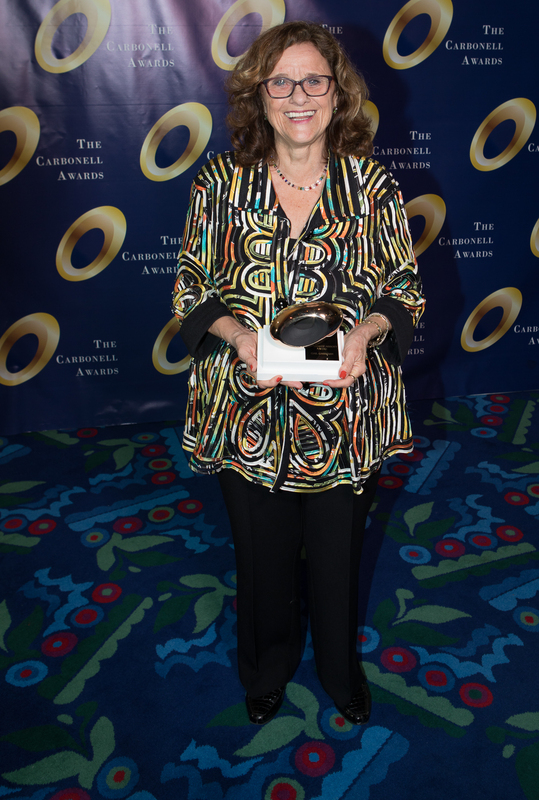 The Howard Kleinberg Award, bestowed as special recognition for contributions to the health and development of the arts in South Florida, was awarded to Christine Dolen, long-time Miami Herald theatre critic and Carbonell Awards judge, for her tireless work in promoting South Florida regional theatre to the world at large. 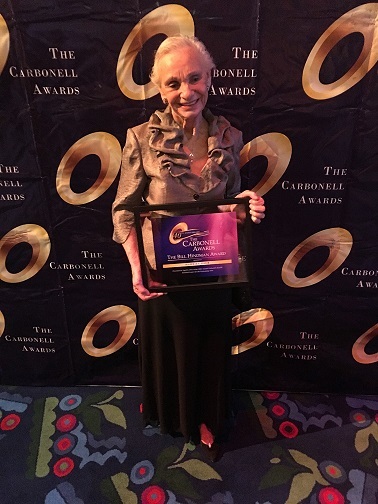 The Bill Hindman Award, named after pioneer South Florida actor Bill Hindman for significant, long-term contributions to the region’s cultural life and onstage career achievement by performing artists based in South Florida, was awarded to Harriet Oser, who has graced South Florida stages in three counties since 1979. 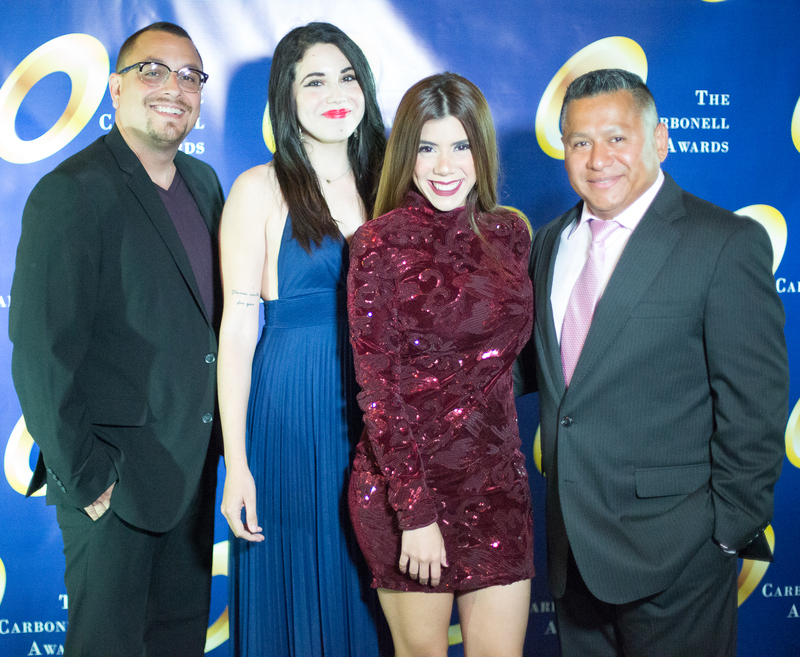 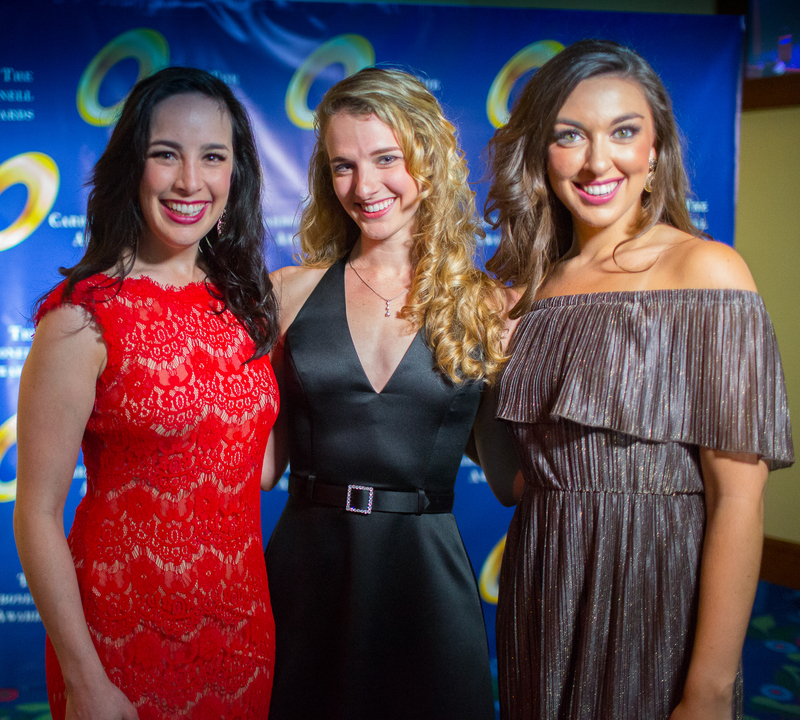 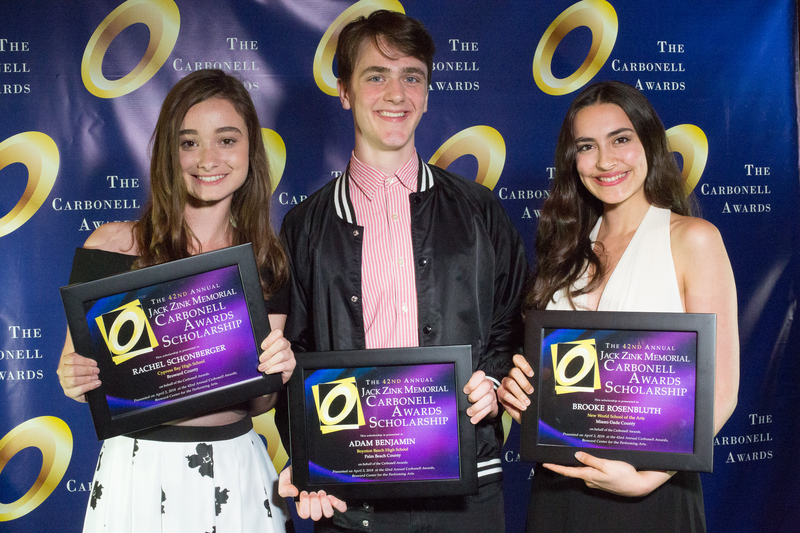 In addition to recognizing the stars of today, the Carbonell Awards’ mission has always been to award scholarships to the talent of tomorrow. 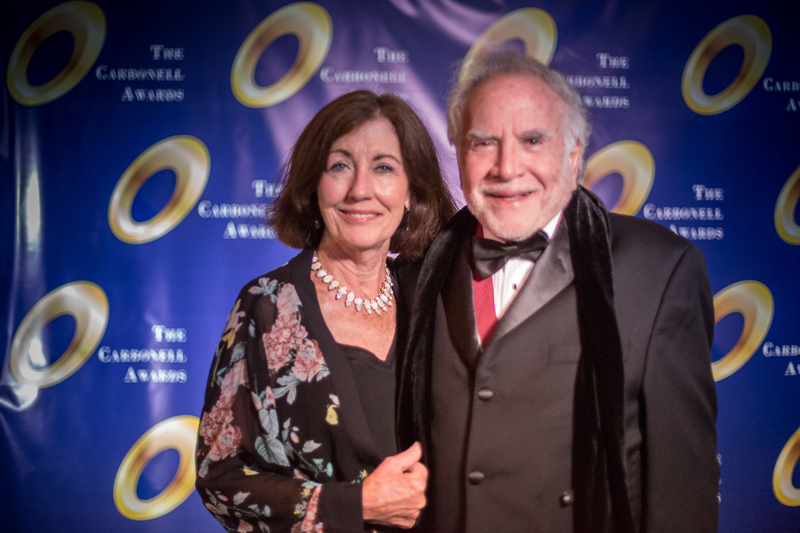 Last August, to mark the 40th anniversary milestone, the scholarships were renamed in honor of Carbonell Awards founder Jack Zink. 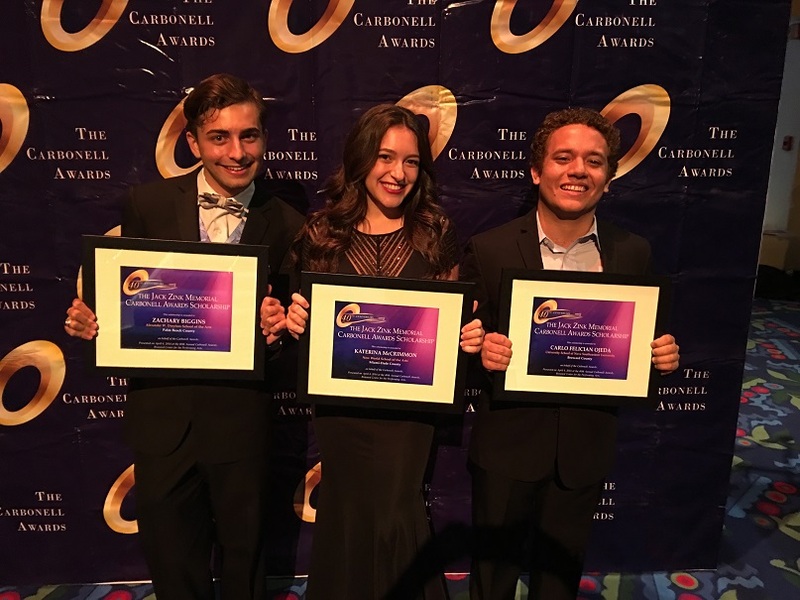 The newly christened Jack Zink Memorial Carbonell Awards Scholarships were this year awarded to: Zachary Biggins (Palm Beach County) who attends Alexander W. Dreyfoos School of the Arts; Katerina McCrimmon (Miami-Dade County) who attends of New World School of the Arts; and Carlo Felician Ojeda (Broward County) who attends Nova Southeastern University School. 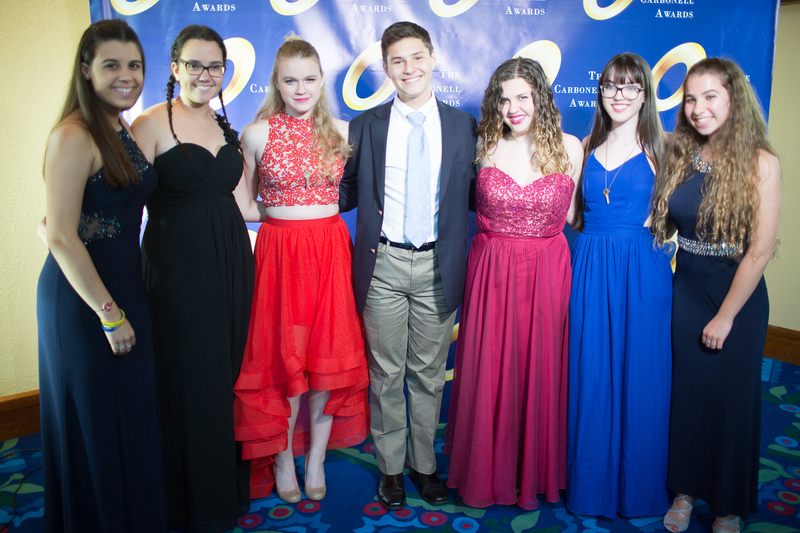 Each received a $1,000 scholarship for future studies in theater or journalism. 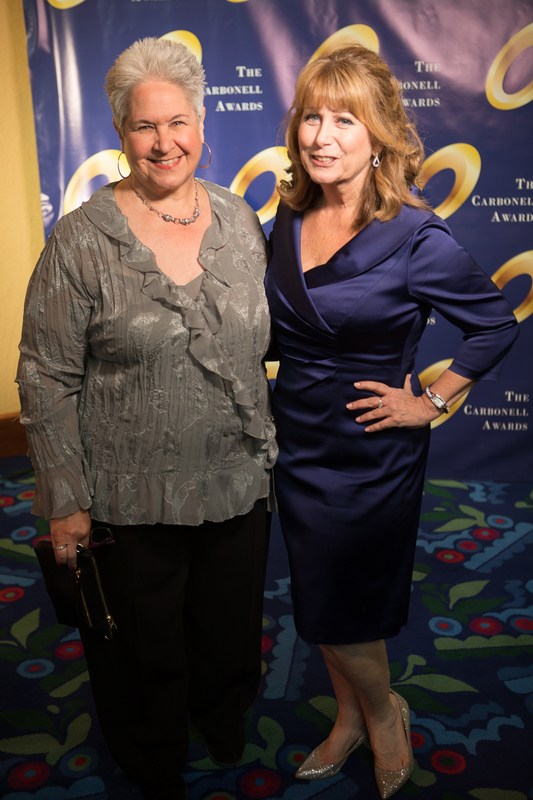 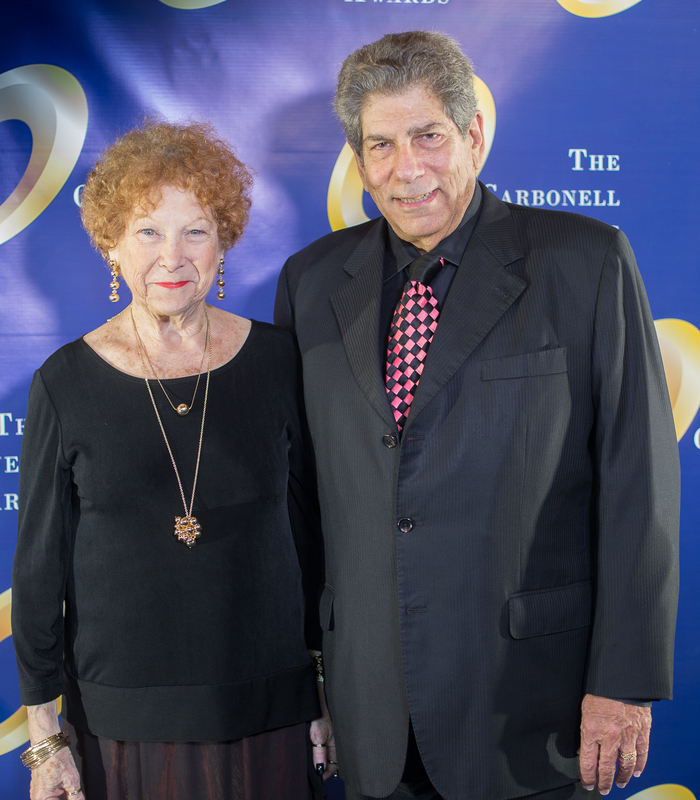 The 40th annual Carbonell Awards was generously sponsored by the South Florida Cultural Consortium, Adrienne Arsht Center for the Performing Arts, Broward Center for the Performing Arts, Actor’s Equity Association, Beaux Arts Gallery, WLRN, South Florida Theater League, Rita and Jerry Cohen, Tony Finstrom, Mary Ellen and Michael Peyton, Scott and Kerry Shiller, Raymond F. Kravis Center for the Performing Arts, South Miami-Dade Cultural Arts Center, Neil Goldberg Dream Foundation & Cirque Dreams, WOW Factor, ArtServe, Broadway Across America, Broward County Cultural Division, and the Cultural Council of Palm Beach. 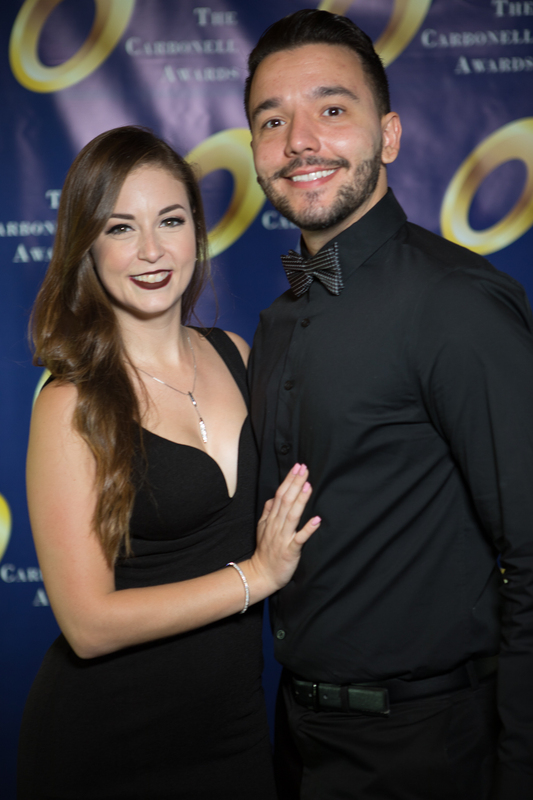 About the Carbonell Awards The Carbonell Awards fosters the artistic growth of professional theater in South Florida by celebrating the diversity of our theater artists, providing educational scholarships, and building audience appreciation and civic pride by highlighting achievements of our theater community. 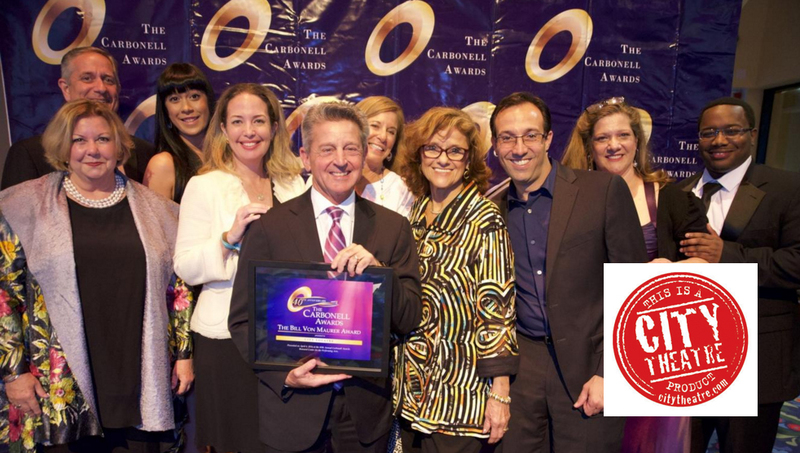 Over 25 professional theater companies in Miami-Dade, Broward and Palm Beach counties participate in the awards process every year. 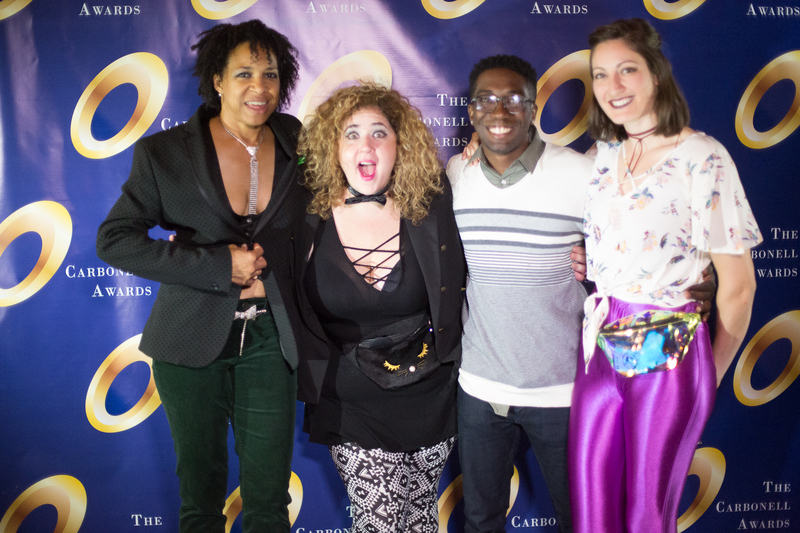 Each season volunteer panelists and judges choose nominees and recipients from hundreds of shows produced on our area stages. 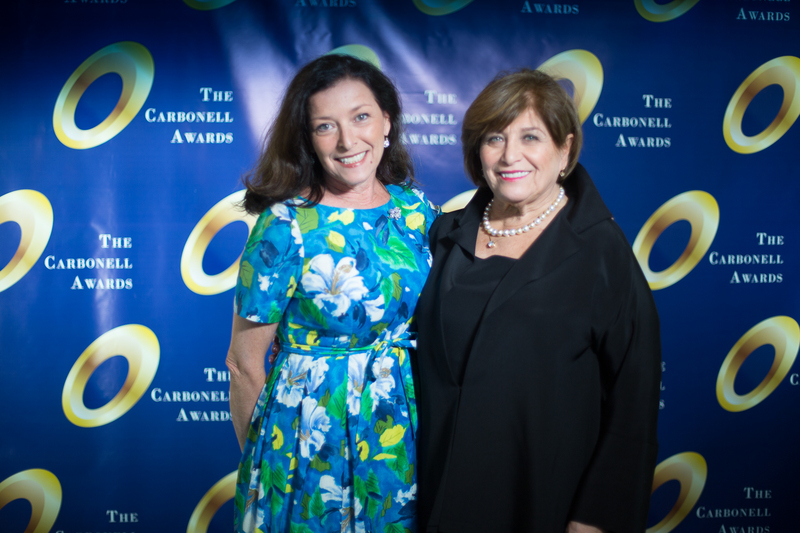 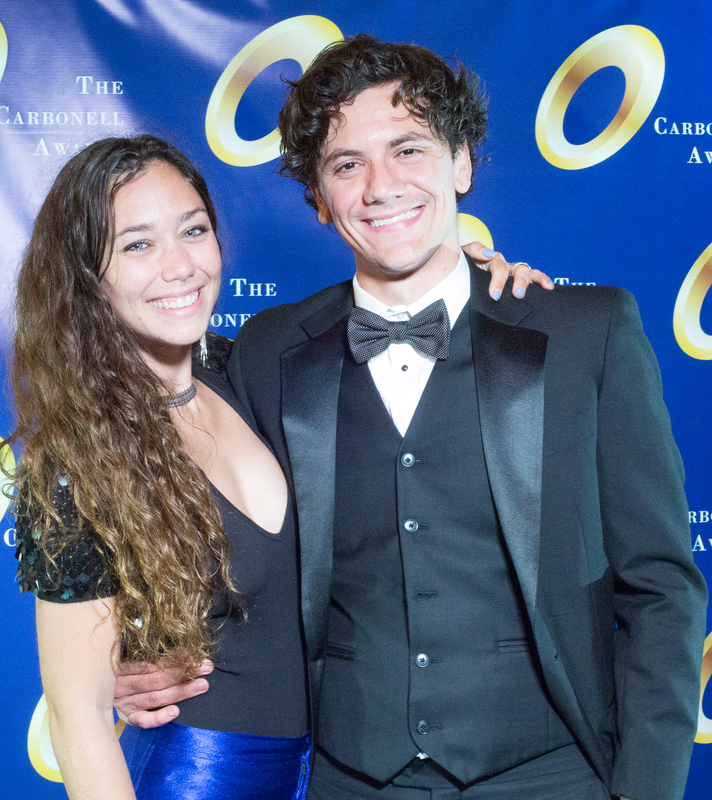 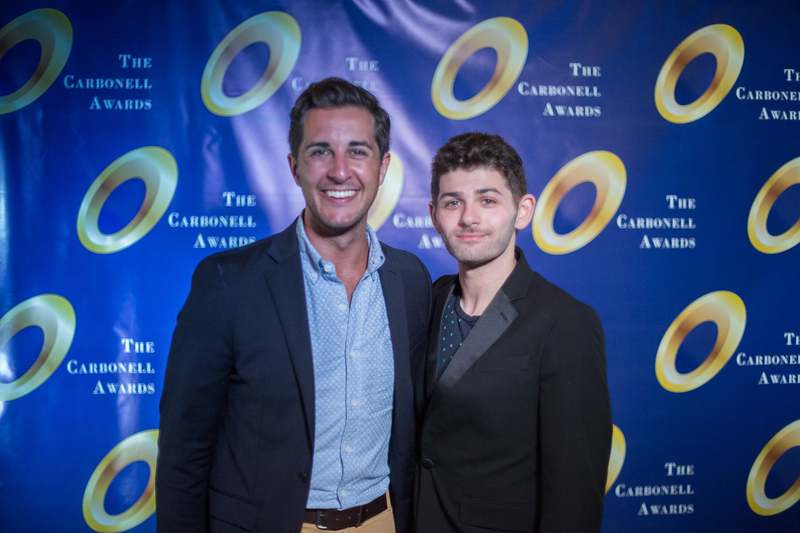 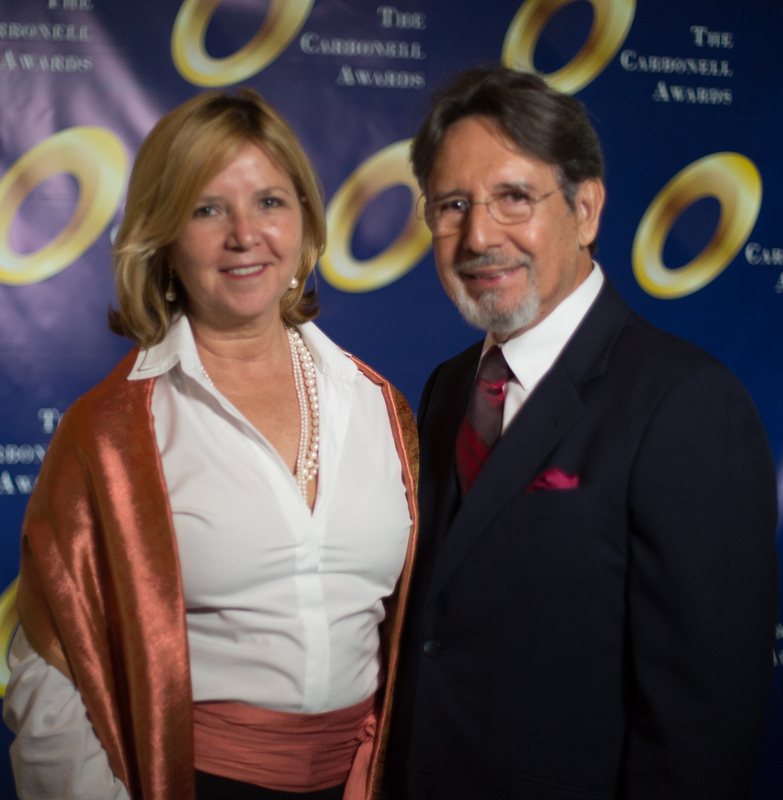 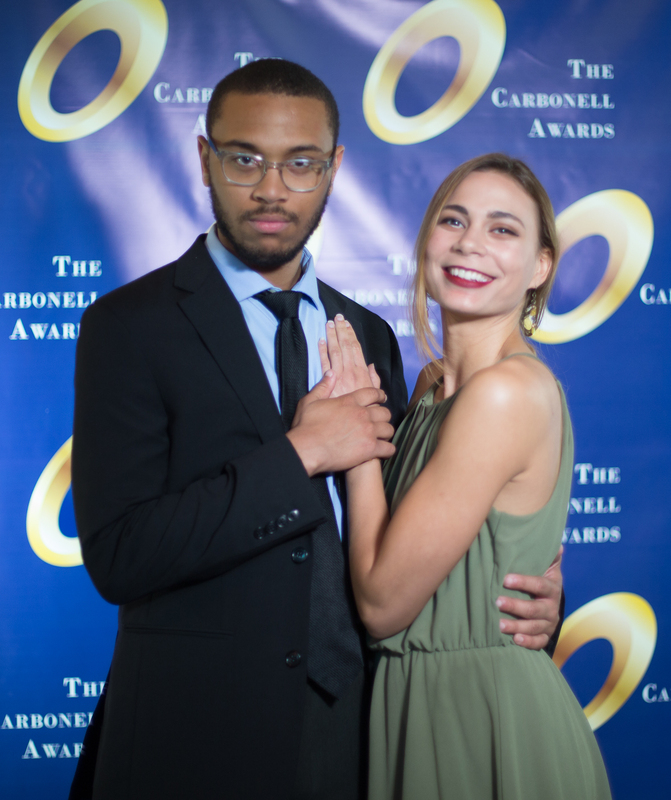 The Carbonell Awards also celebrate the accomplishments of our artistic leaders by presenting ‘Special Awards’ and support the next generation of artists and journalists by awarding scholarships. 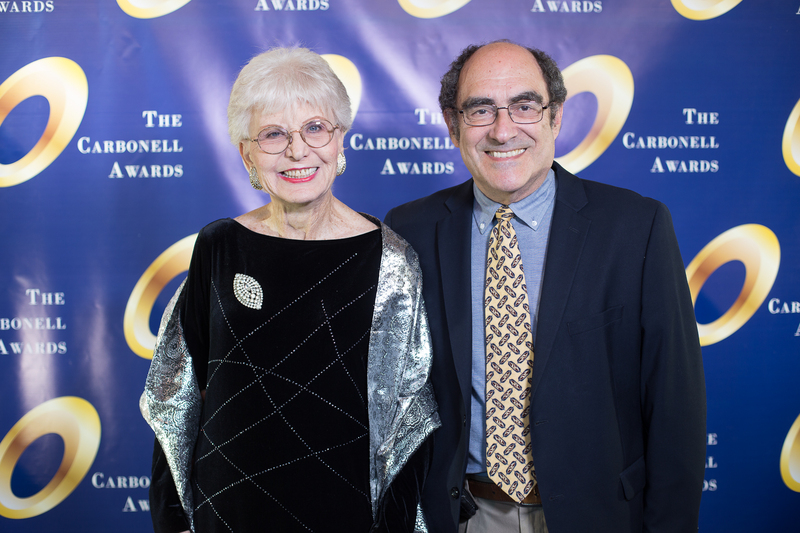 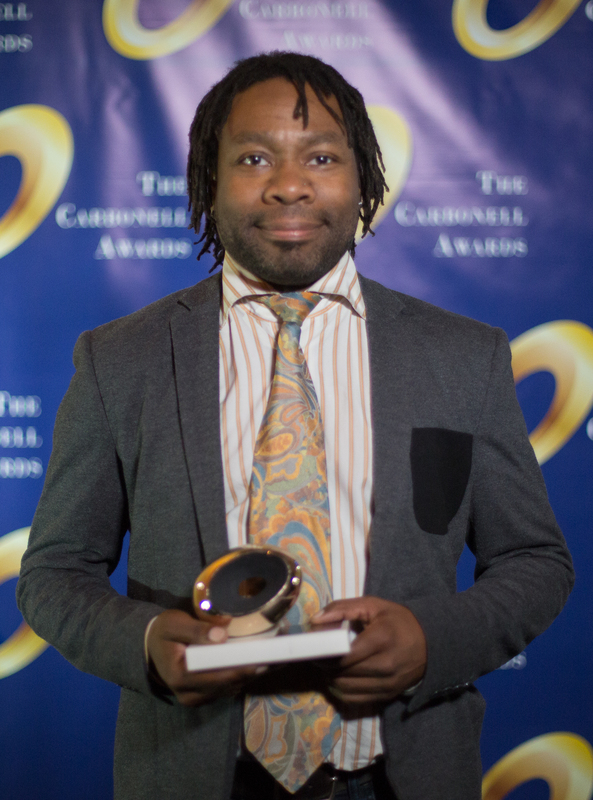 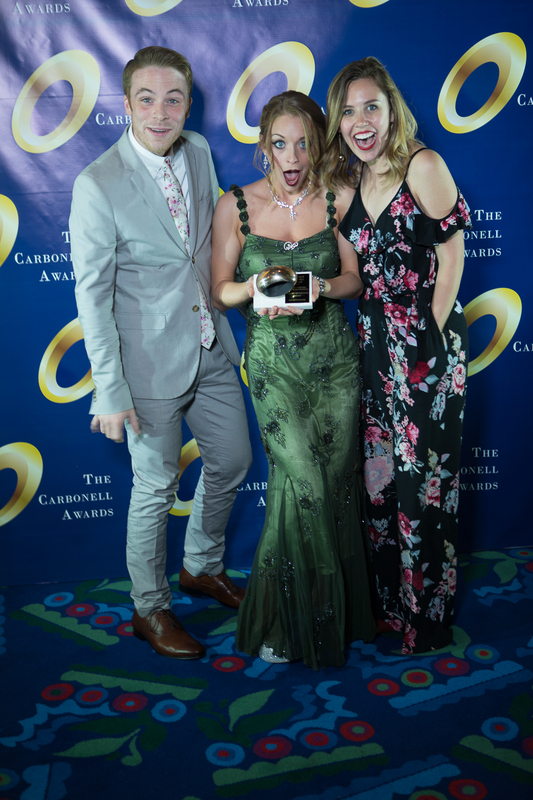 Along with New York’s Drama Desk and Chicago’s Joseph Jefferson Awards, the Carbonell Awards are among the nation’s senior regional arts awards and predate others, including Washington, D.C.’s Helen Hayes Awards. 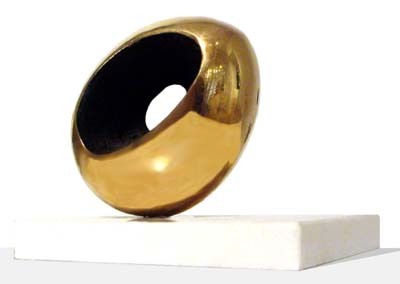 The Carbonell Awards are named after Manuel Carbonell, an internationally-renowned sculptor, who designed the original solid bronze and marble award in 1976, the signature trophy that is given to Carbonell Award winners.